Thrilling raffle full of items sure to disappear quickly like a ghost into the shadows. 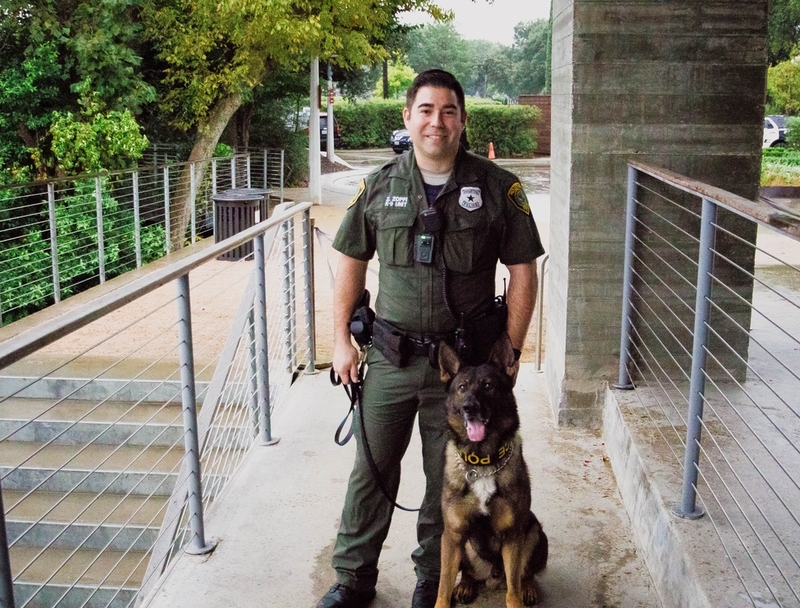 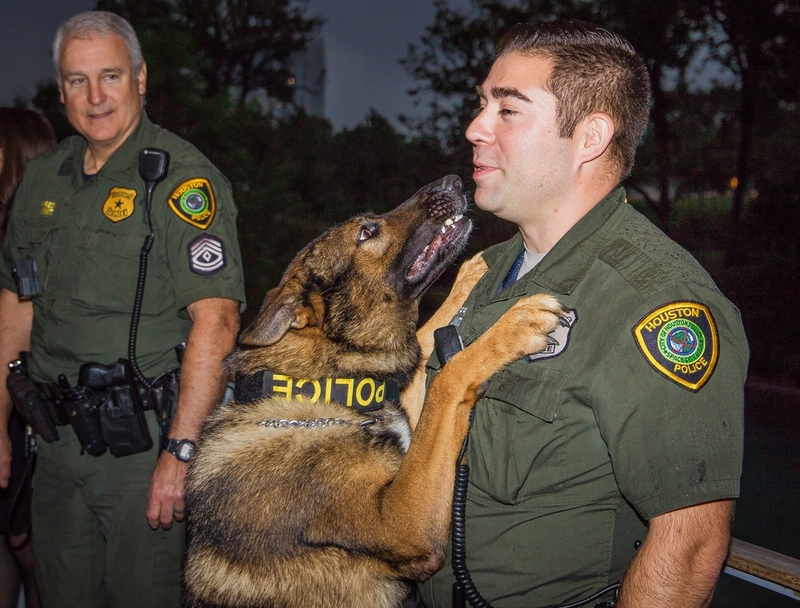 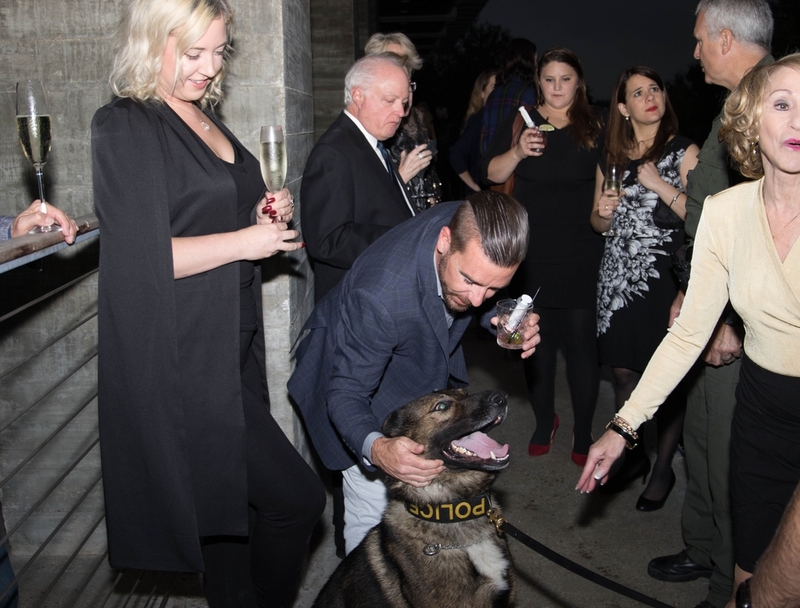 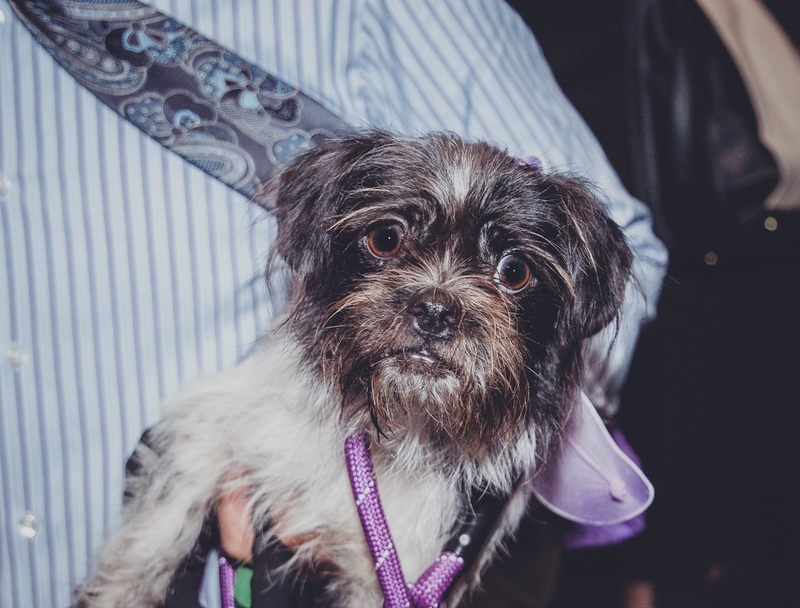 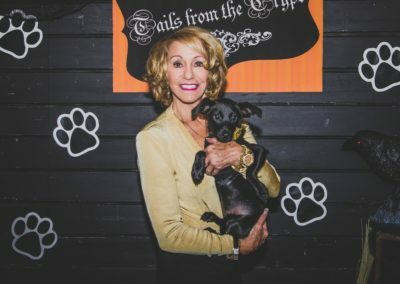 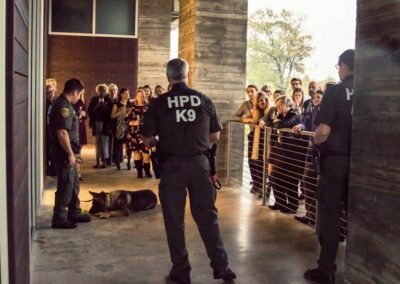 HOUSTON – October 25, 2018 – Despite the glitz and glamour at The Dunlavy, it was the pups of Houston’s BARC Animal Shelter and Houston Police Department’s K9 unit that stole the show. 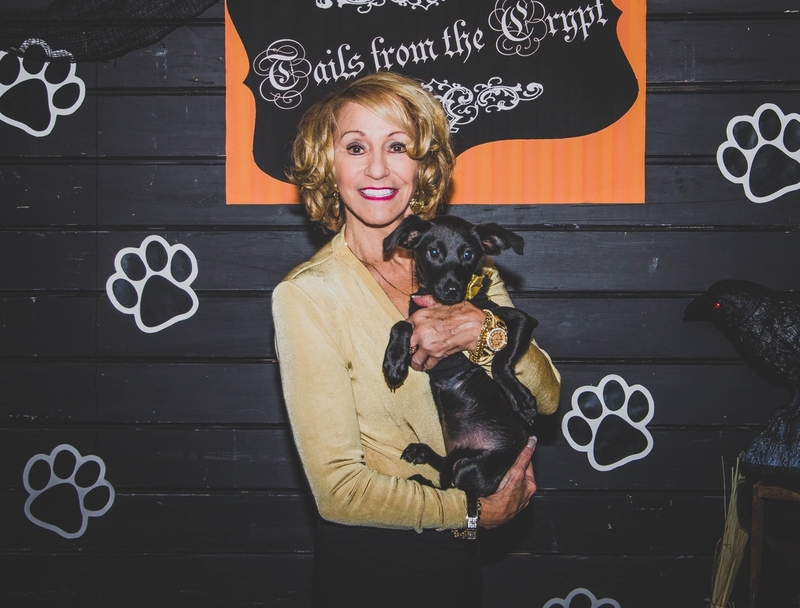 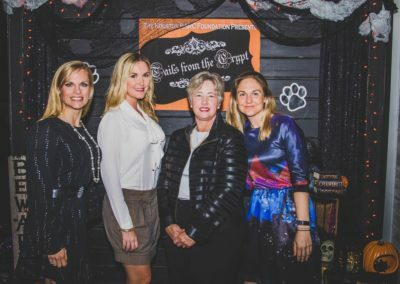 The inaugural Tails from the Crypt Cocktail Party, organized by the Houston BARC Foundation, benefiting the City of Houston’s BARC Animal Shelter, was abuzz as guests raised vital funds for the city’s animals longing for forever homes. 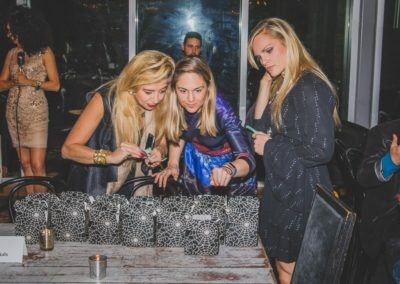 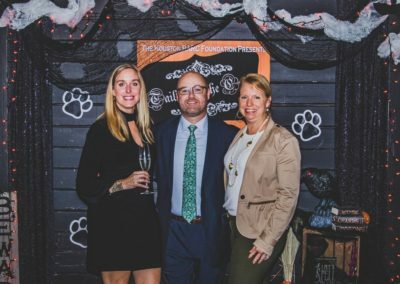 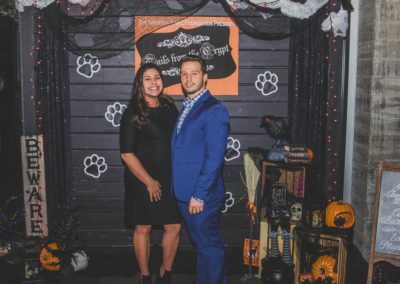 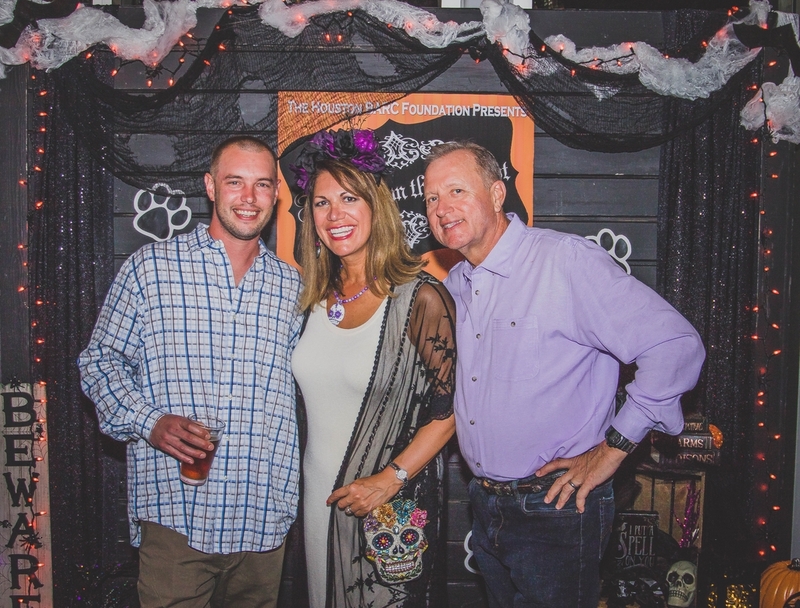 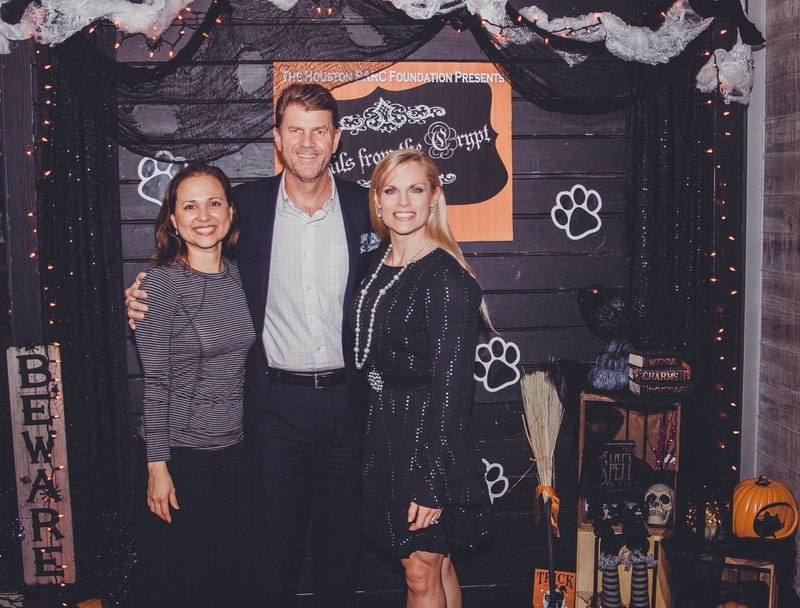 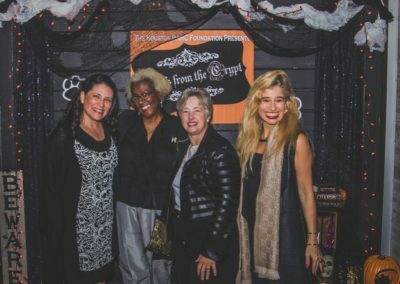 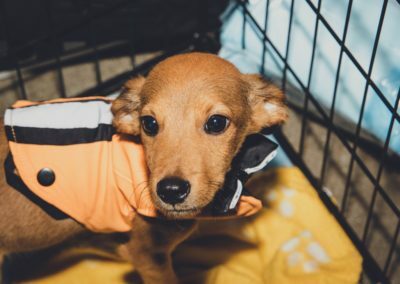 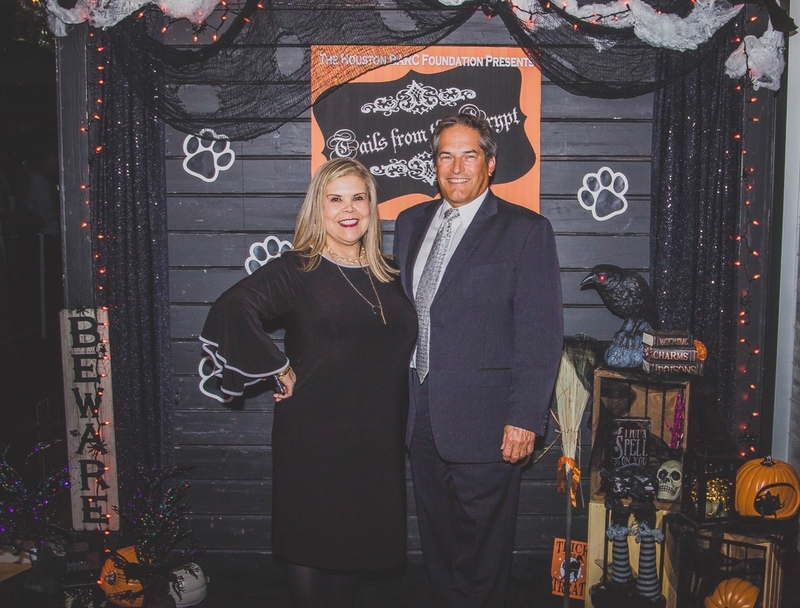 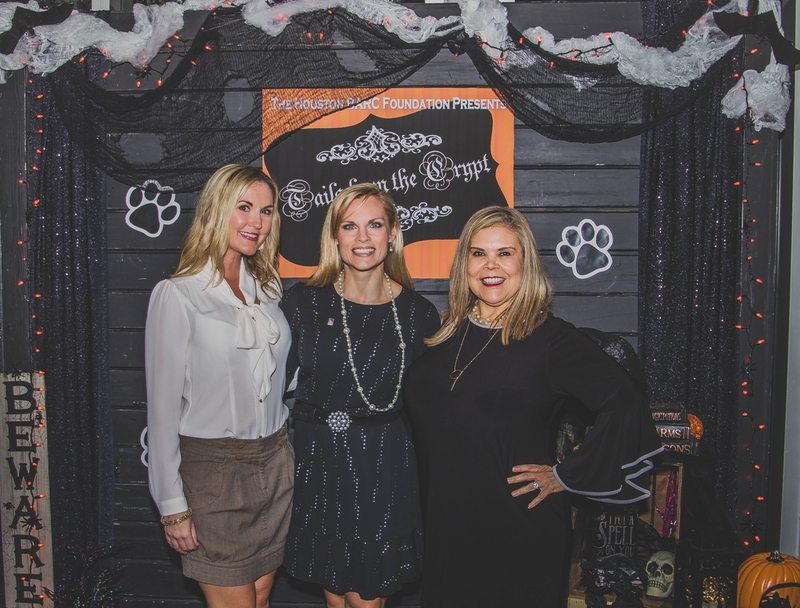 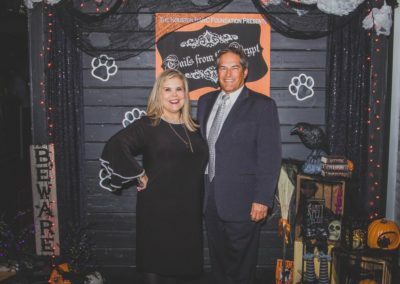 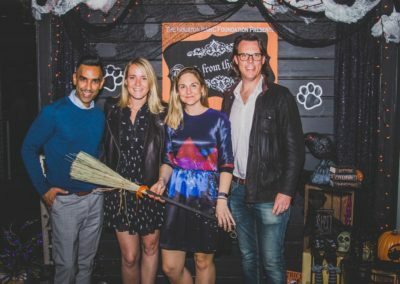 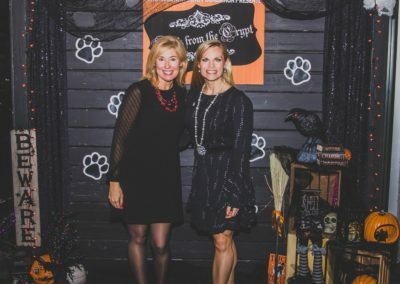 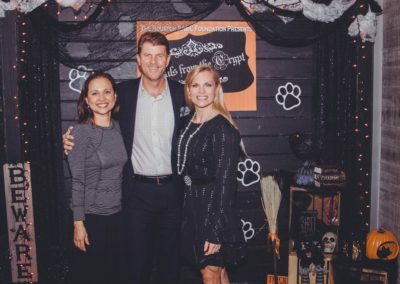 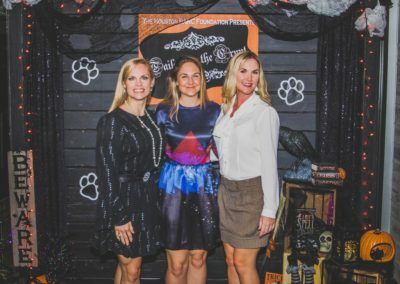 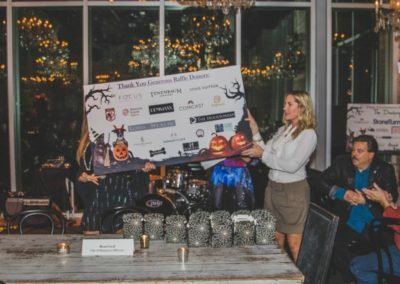 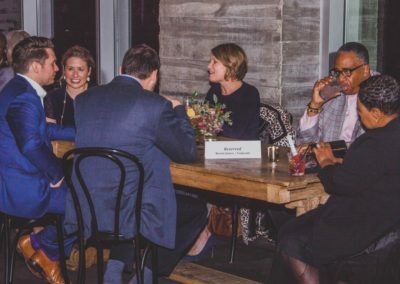 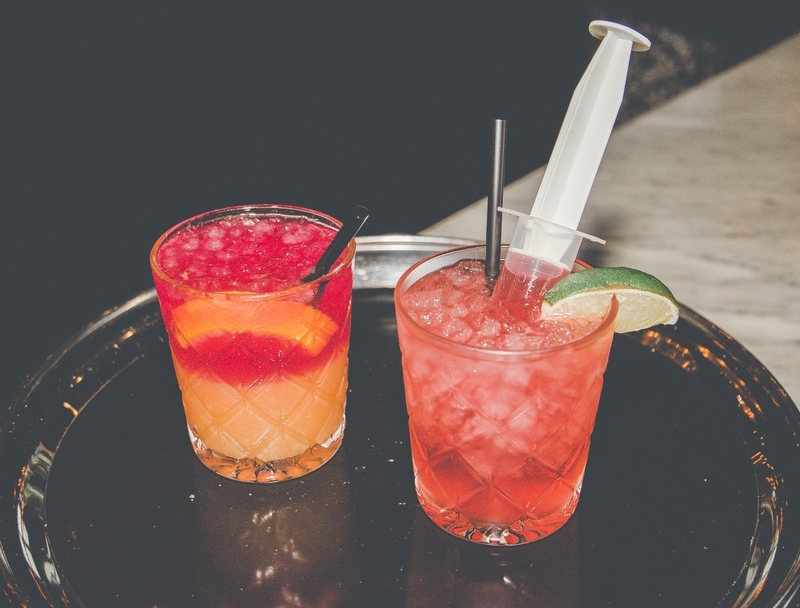 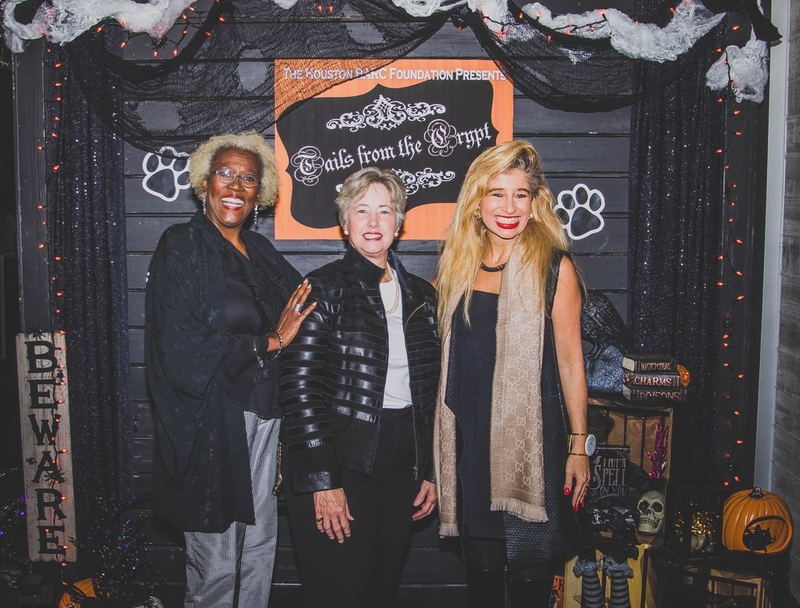 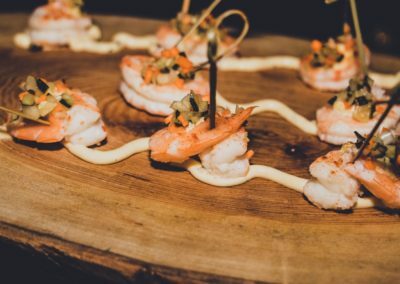 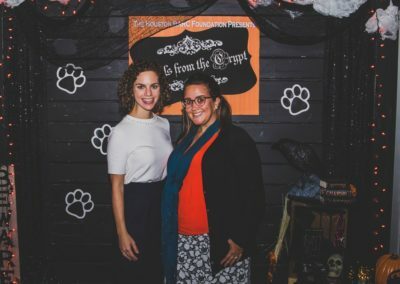 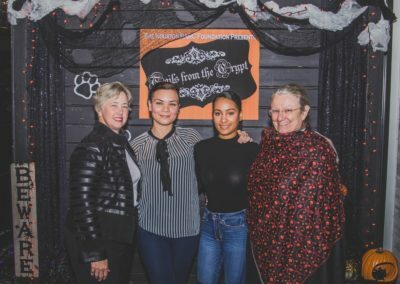 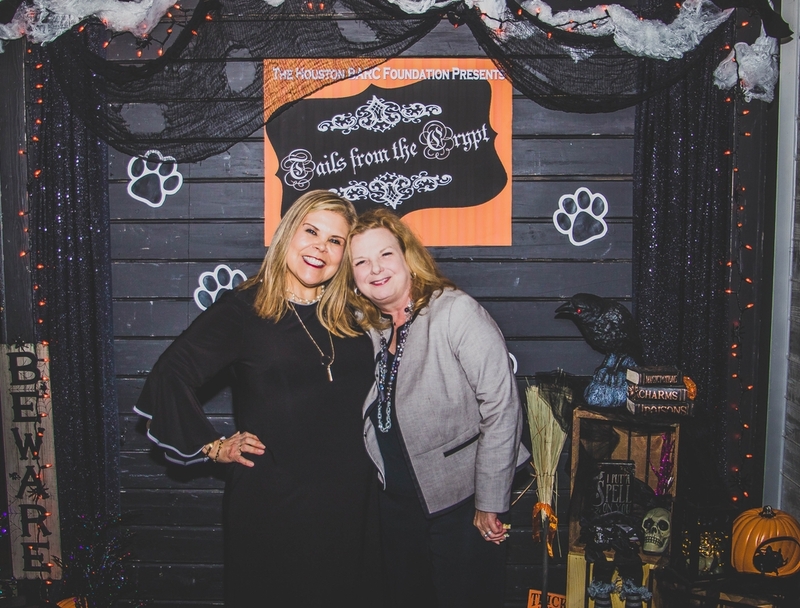 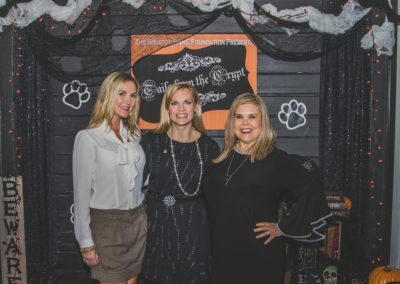 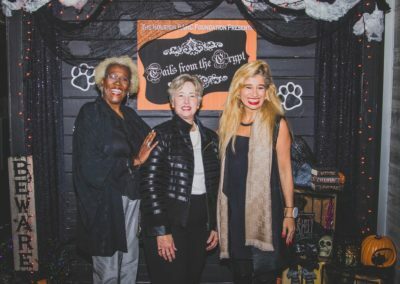 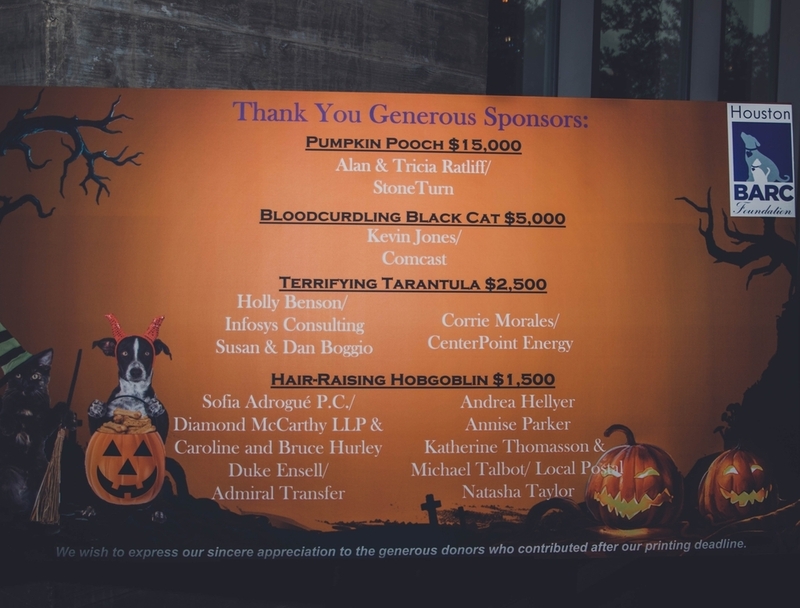 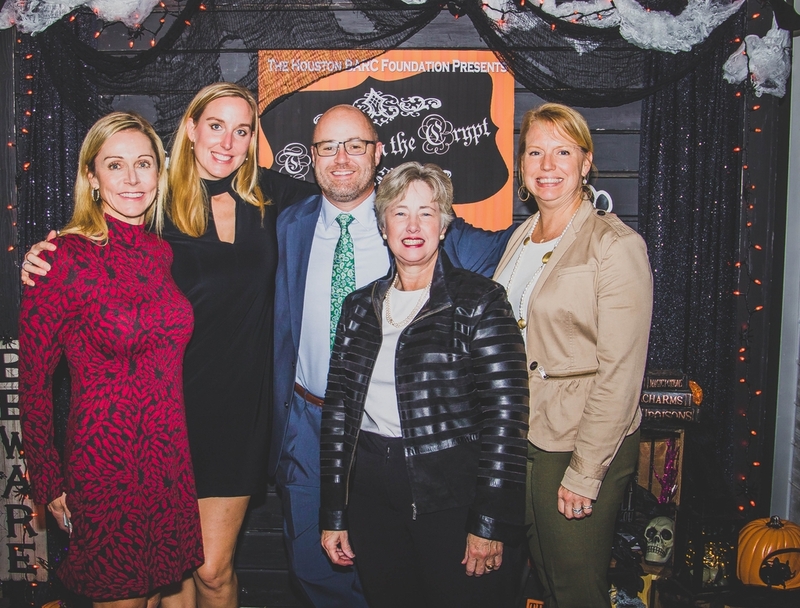 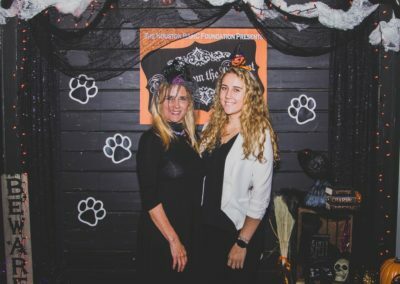 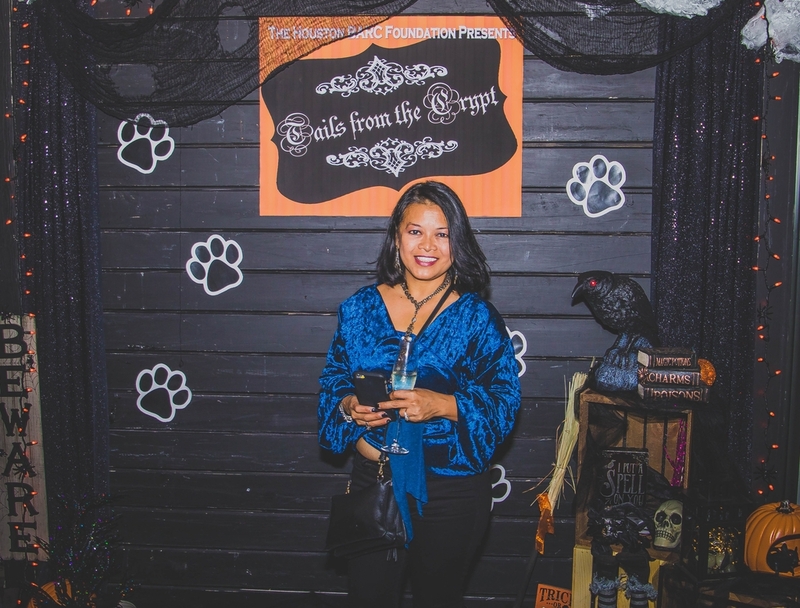 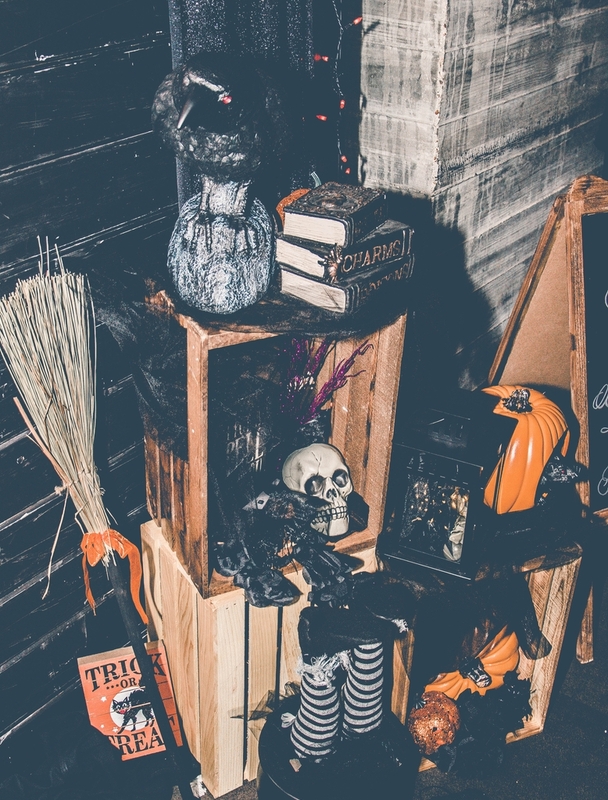 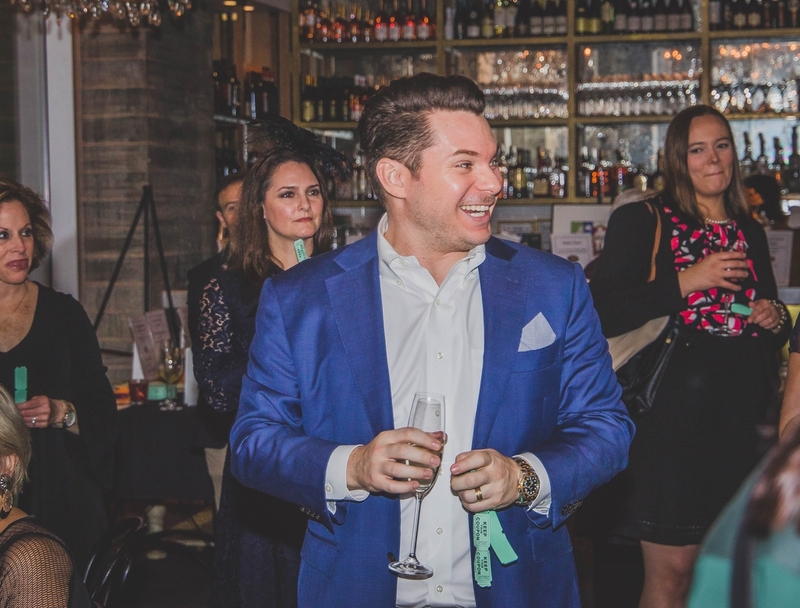 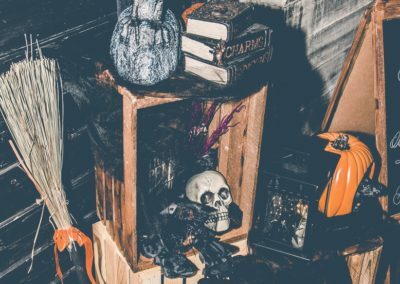 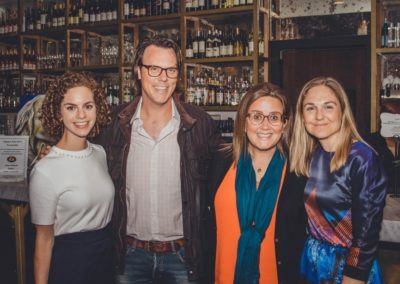 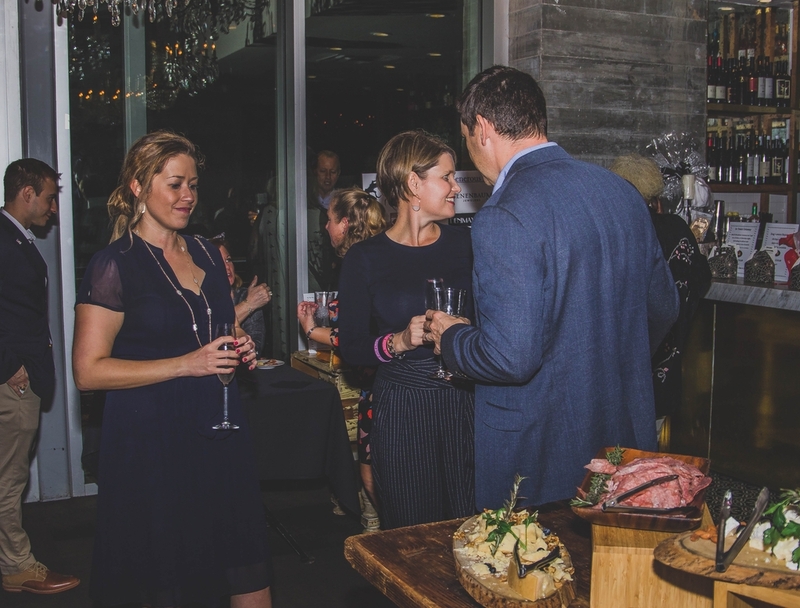 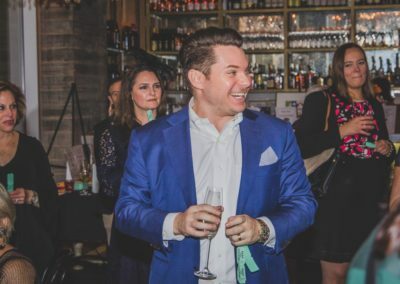 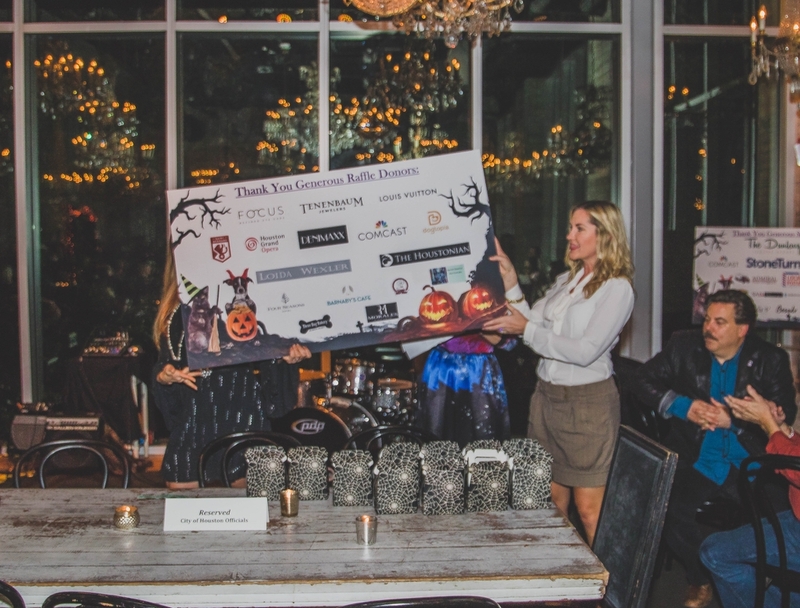 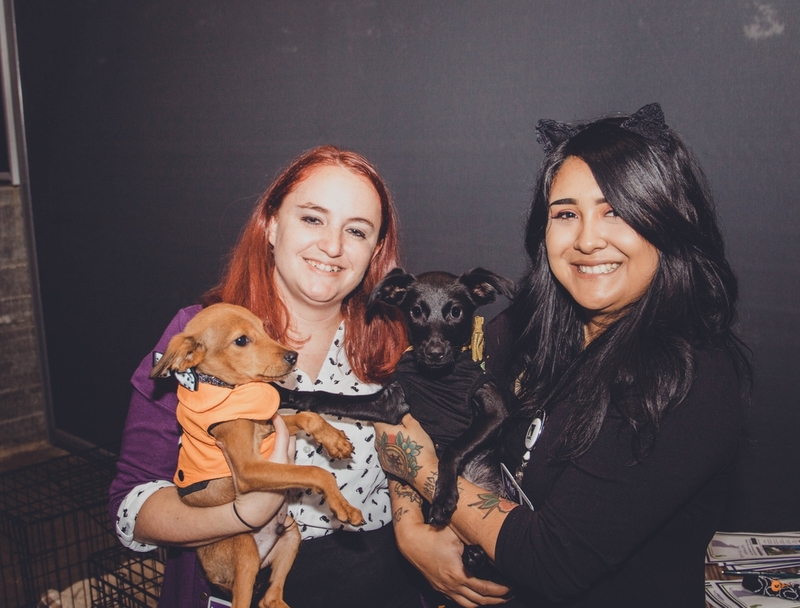 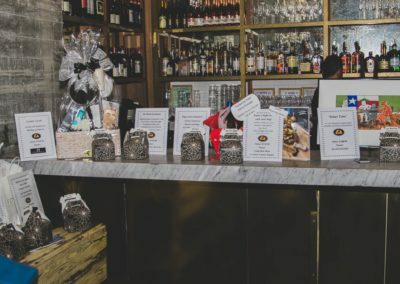 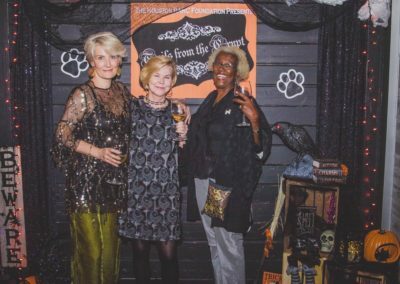 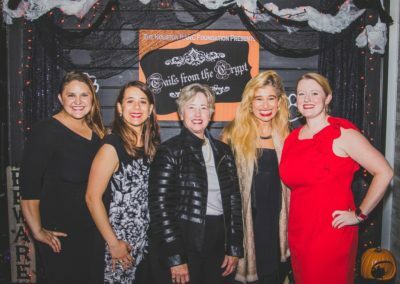 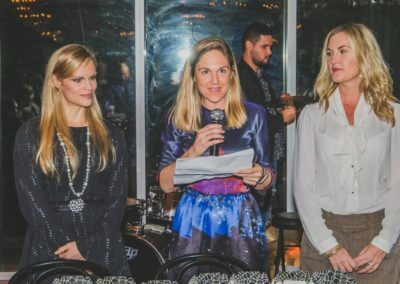 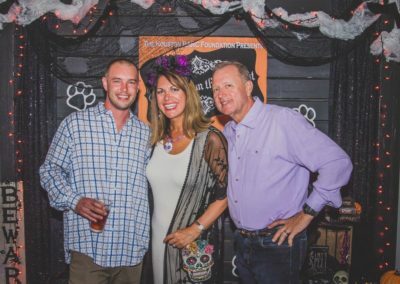 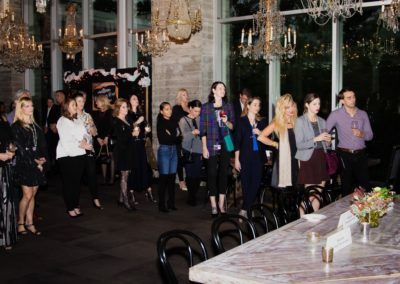 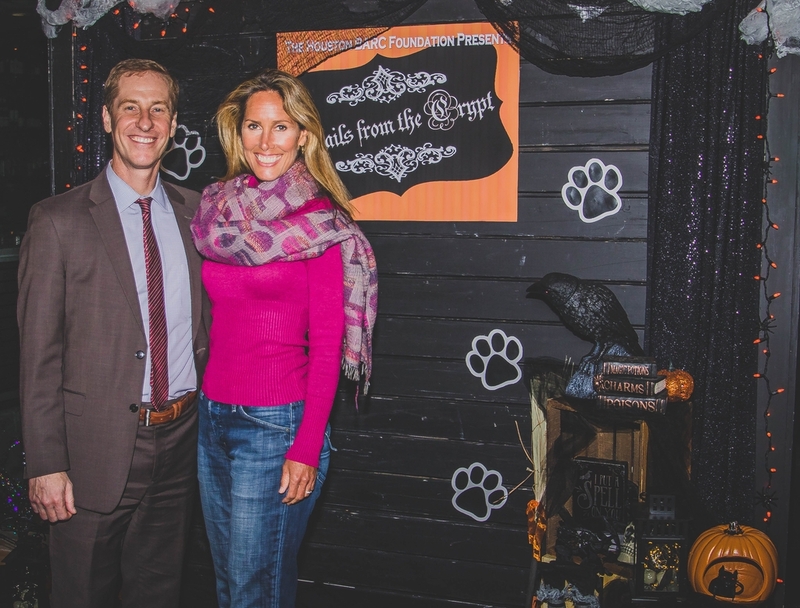 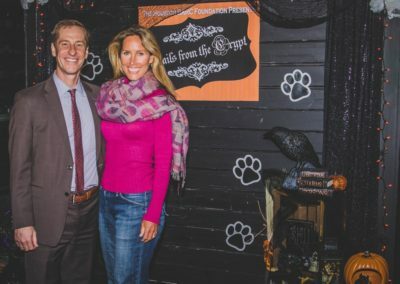 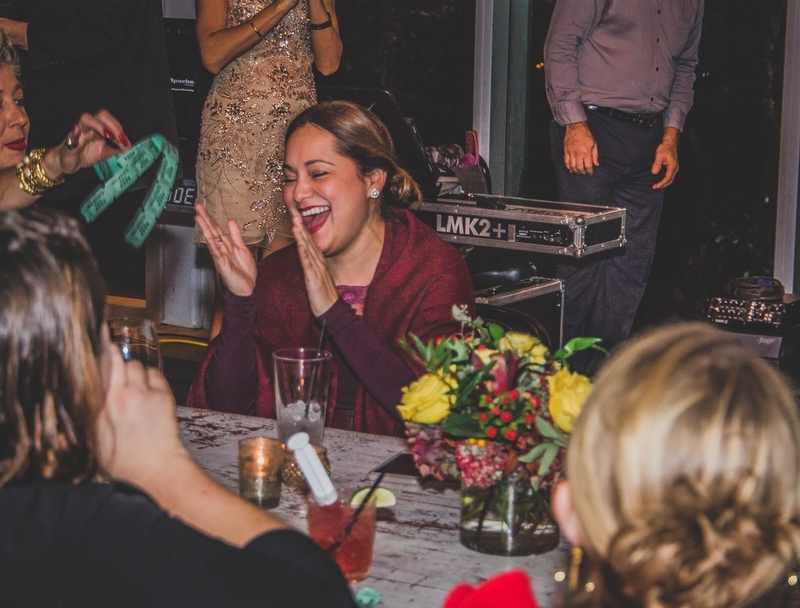 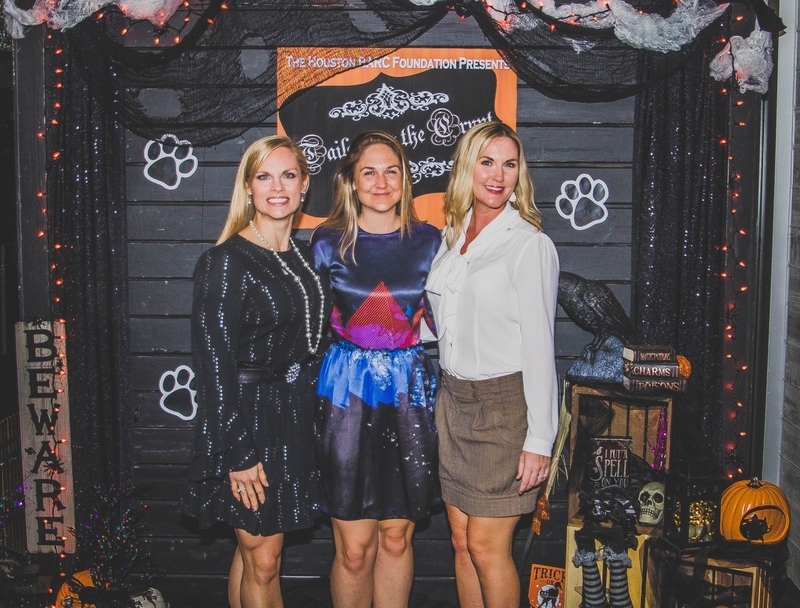 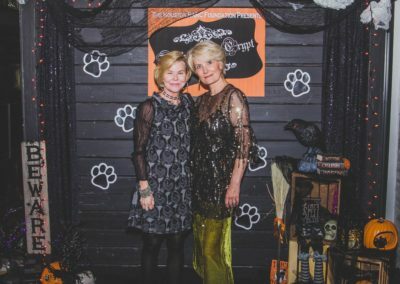 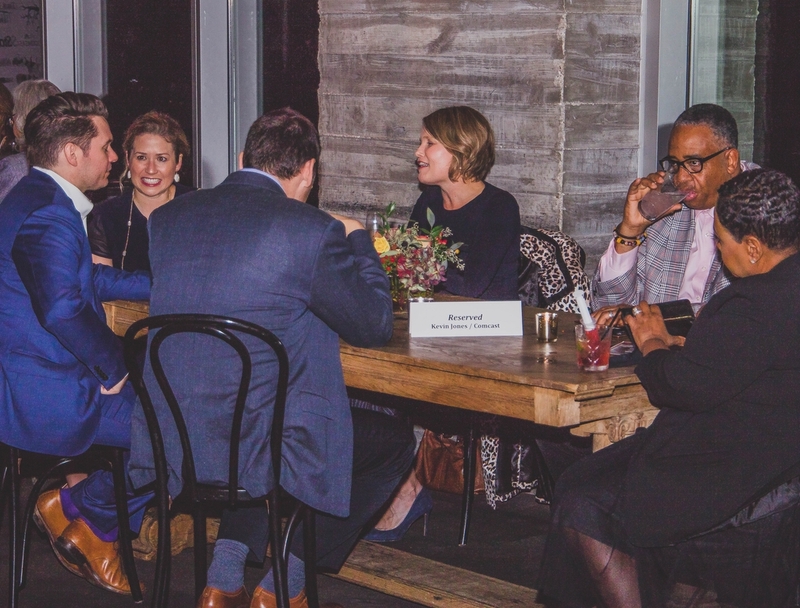 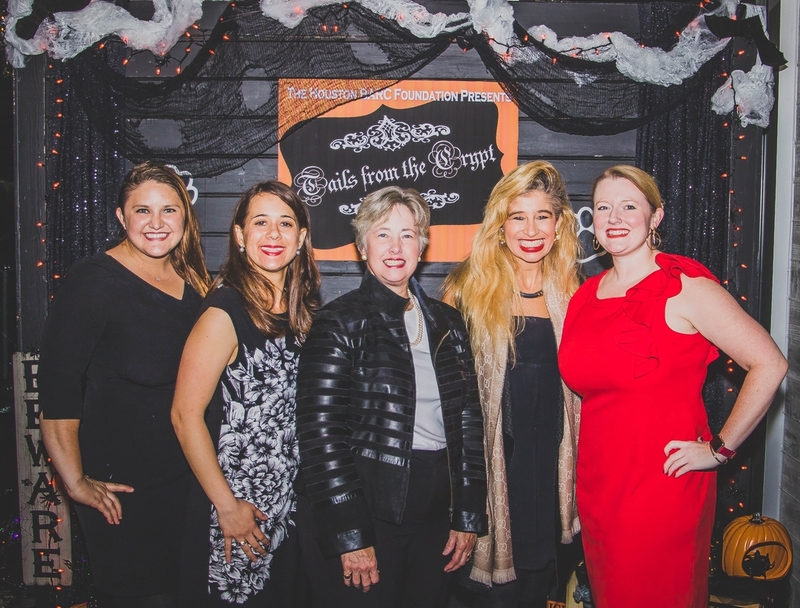 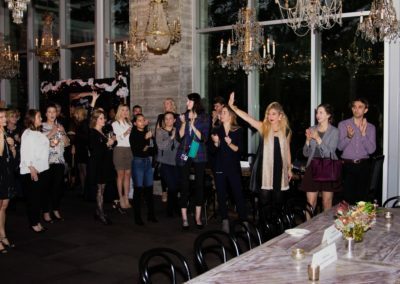 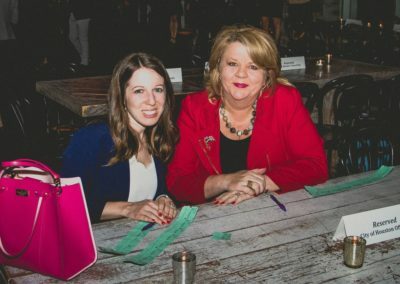 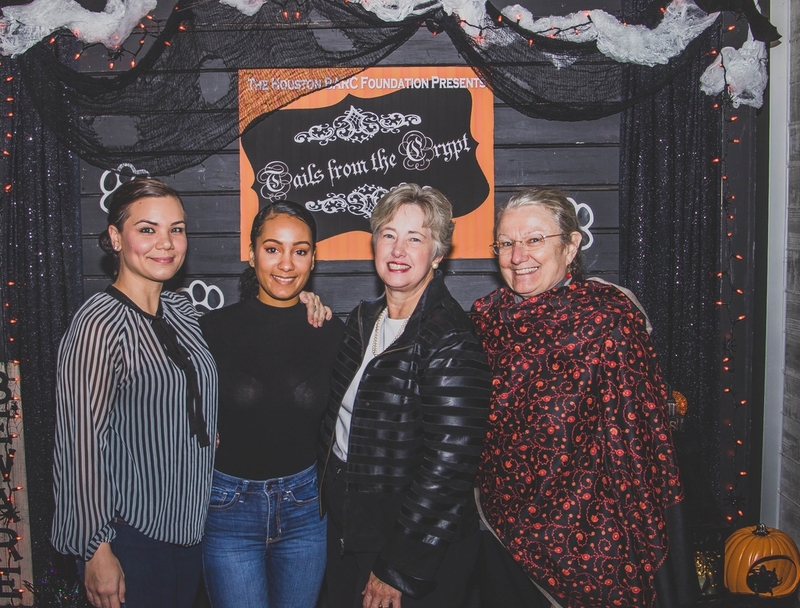 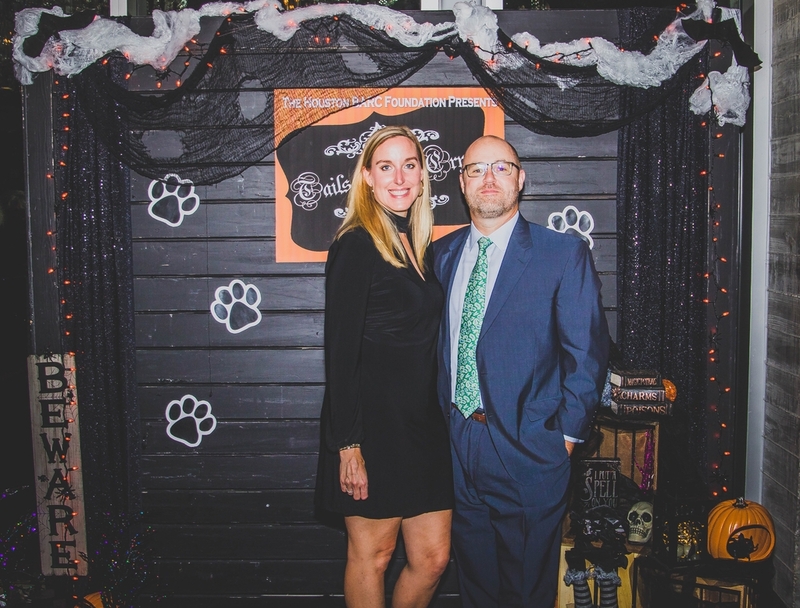 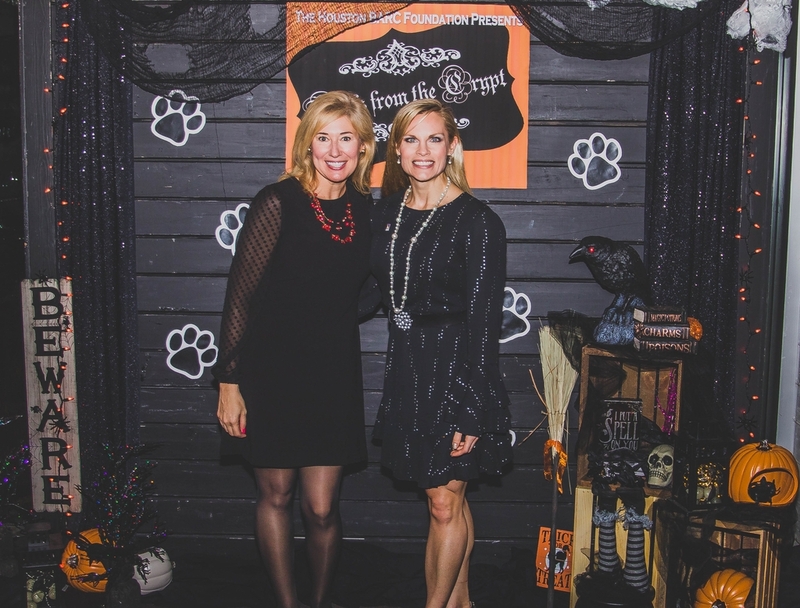 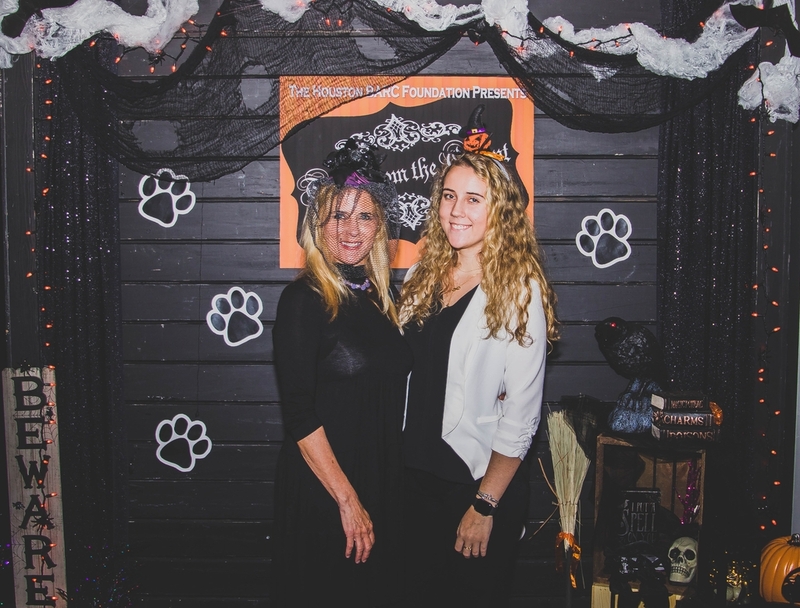 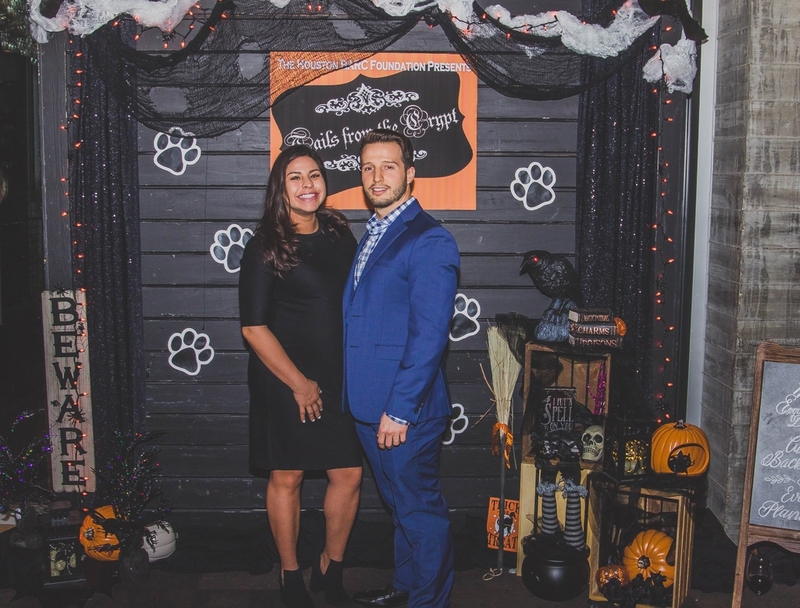 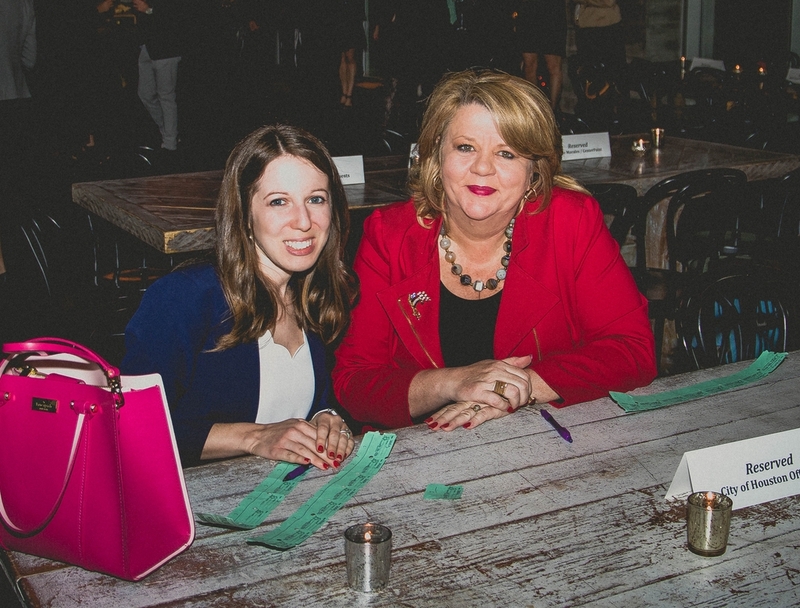 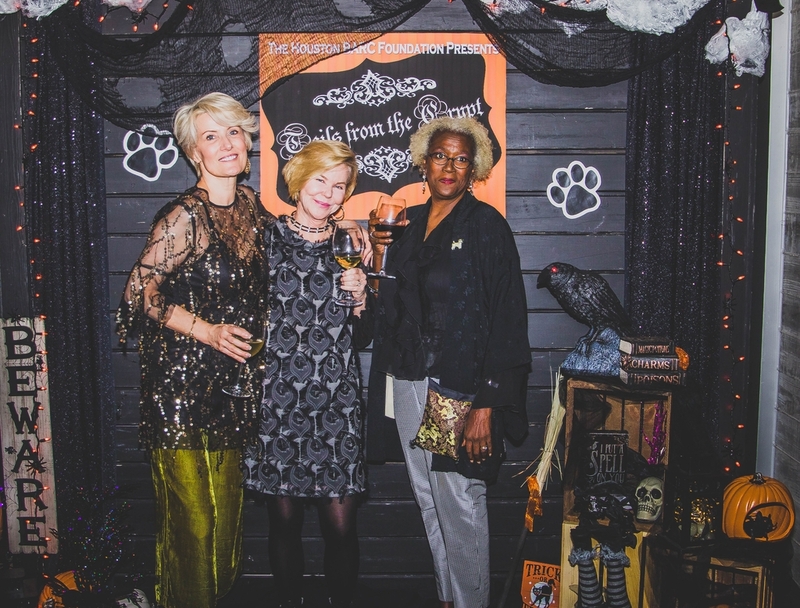 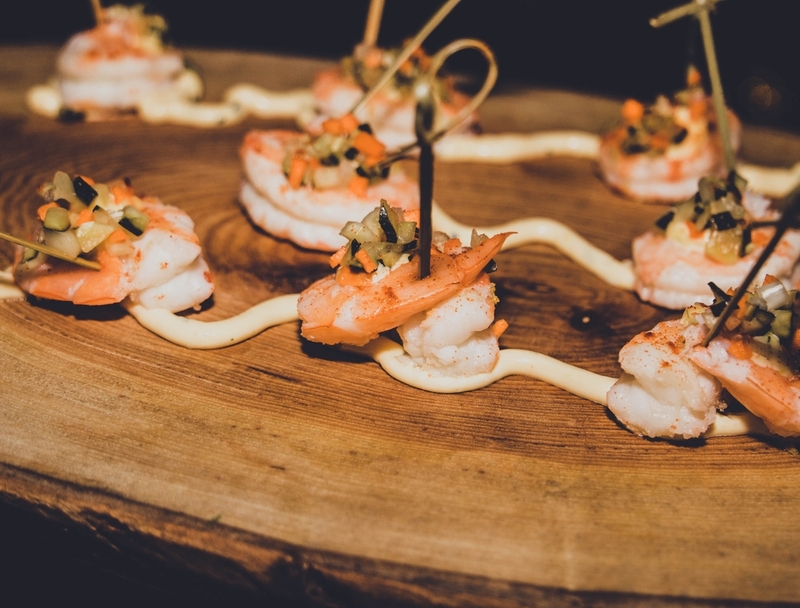 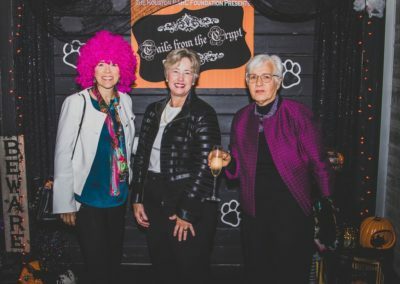 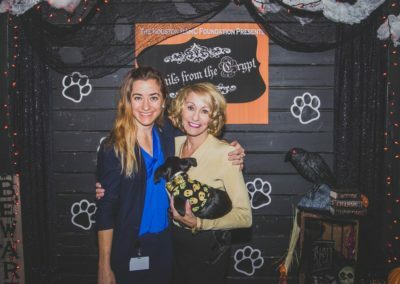 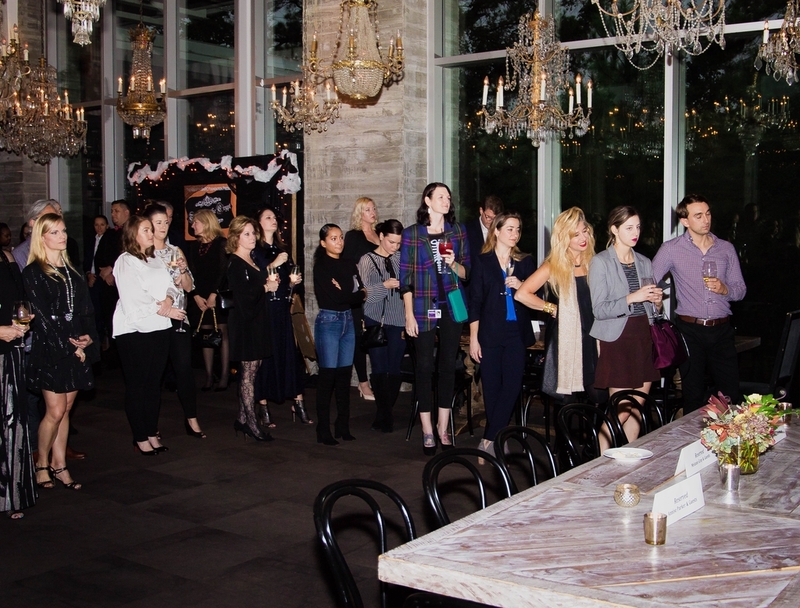 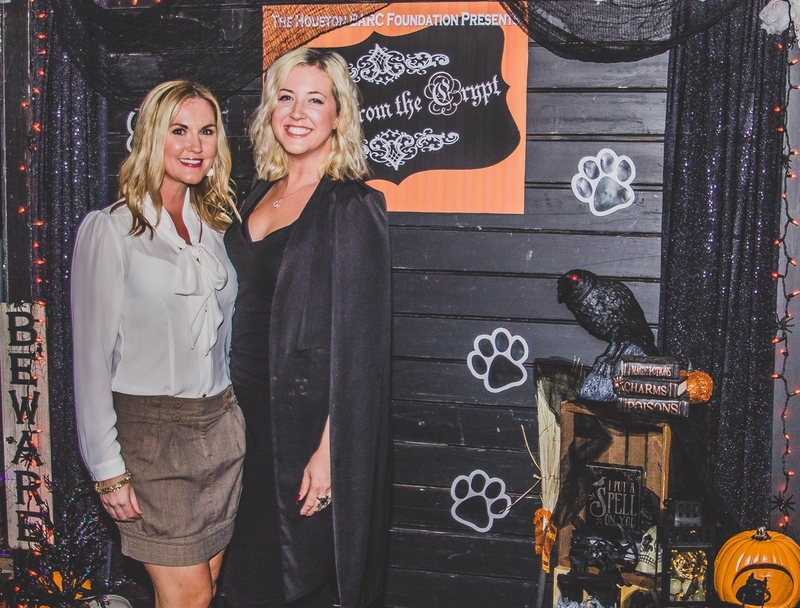 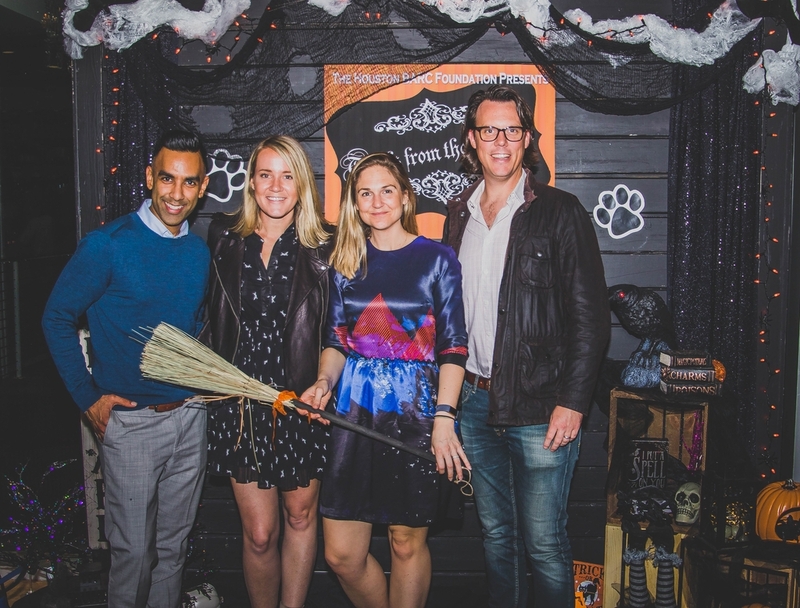 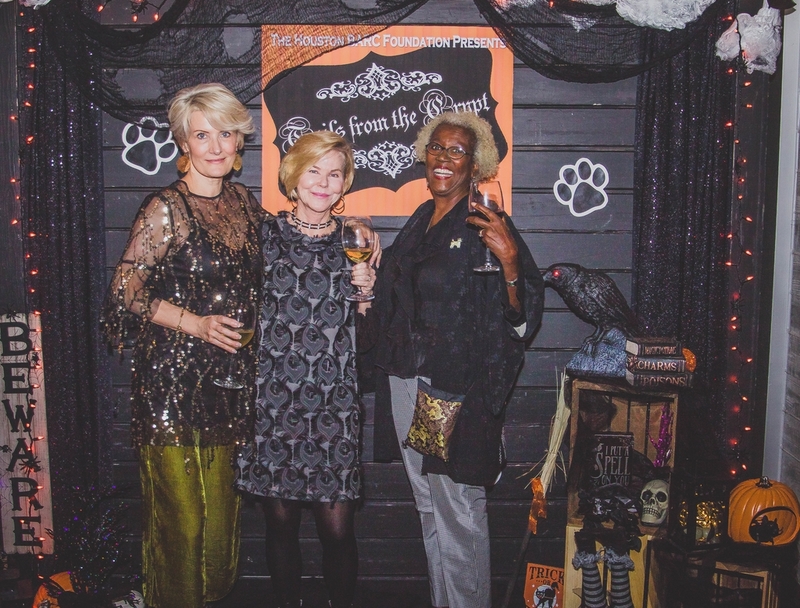 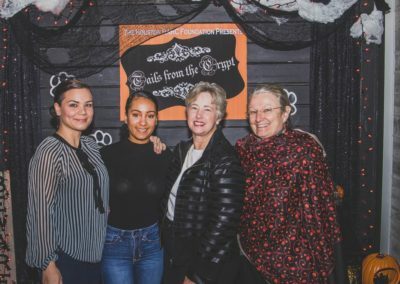 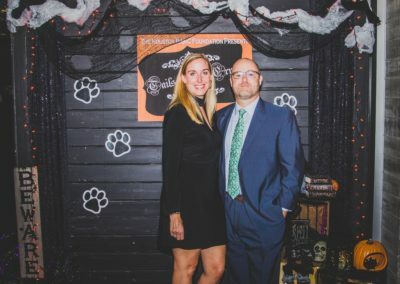 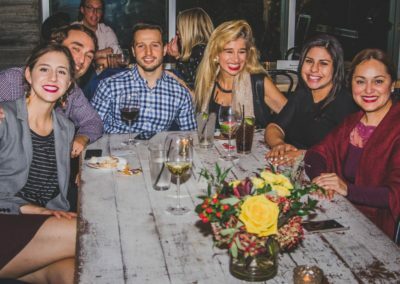 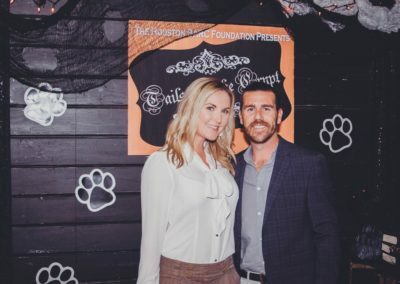 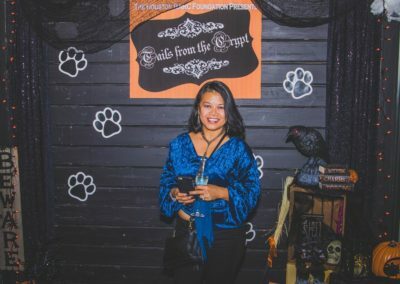 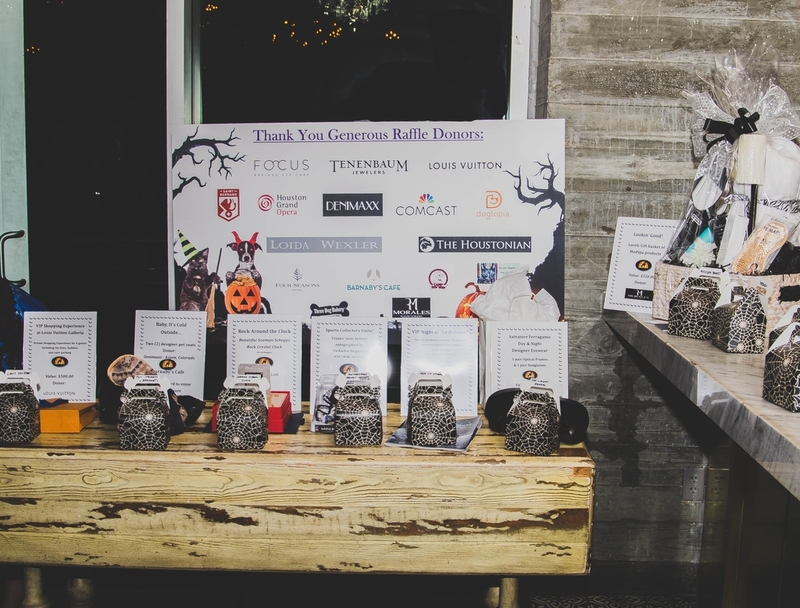 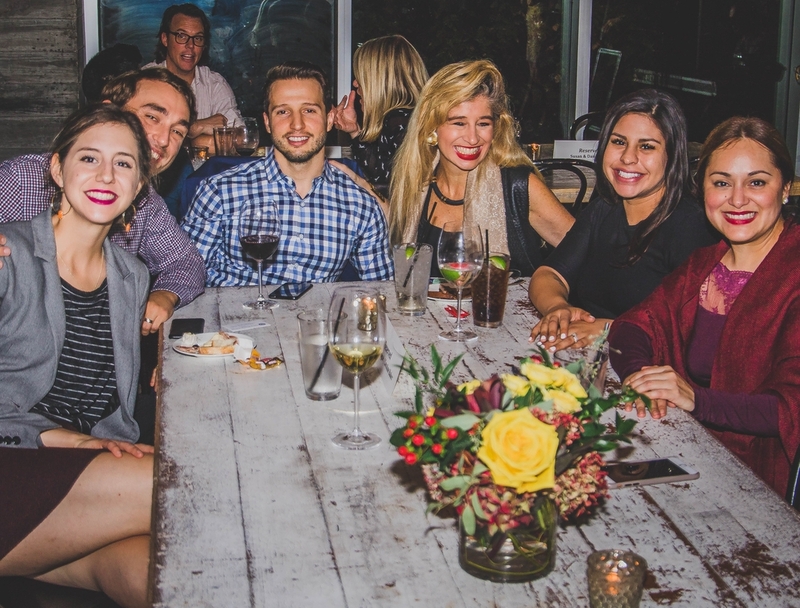 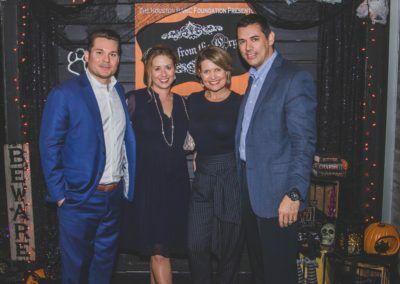 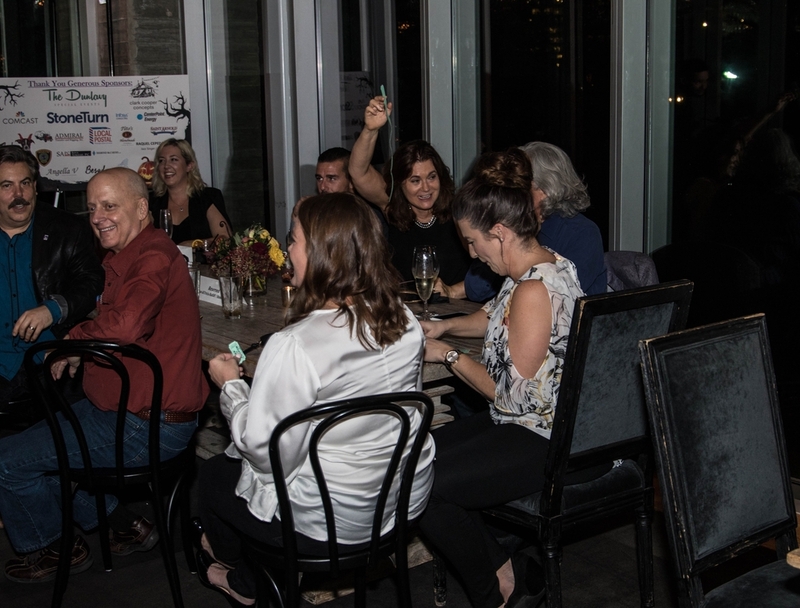 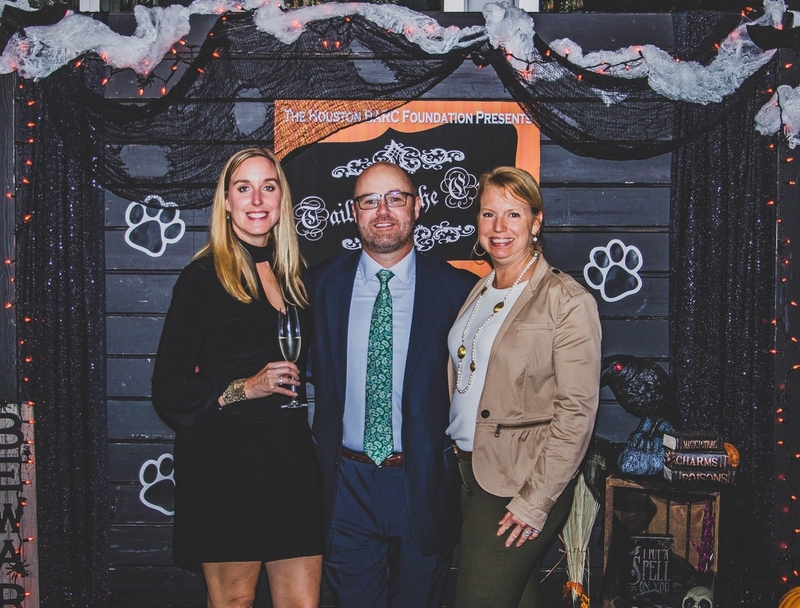 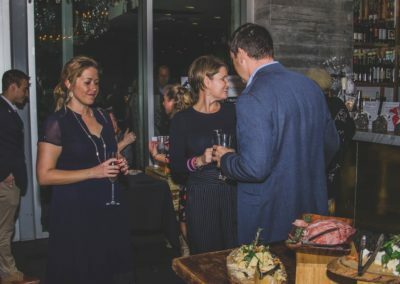 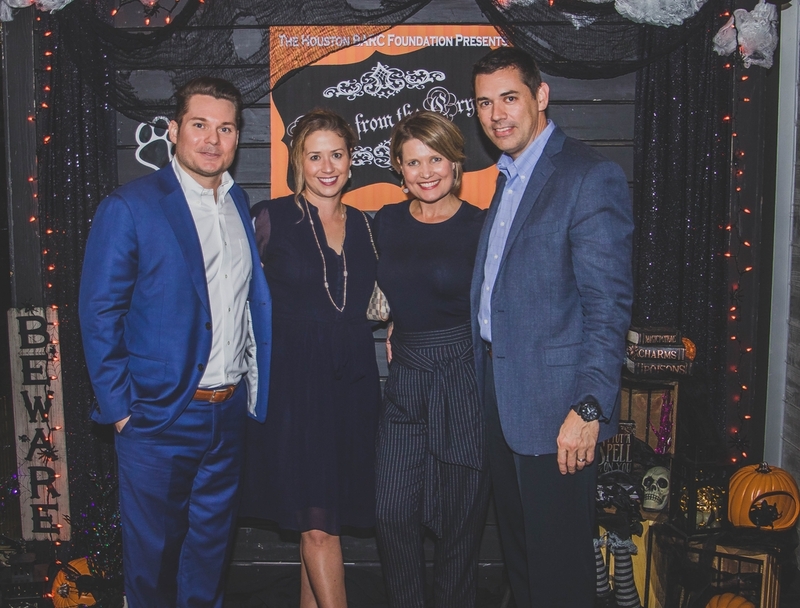 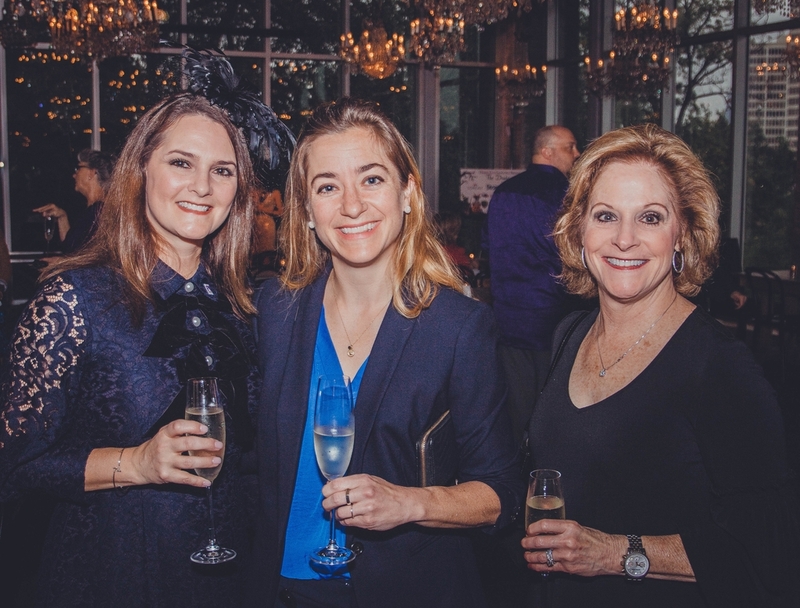 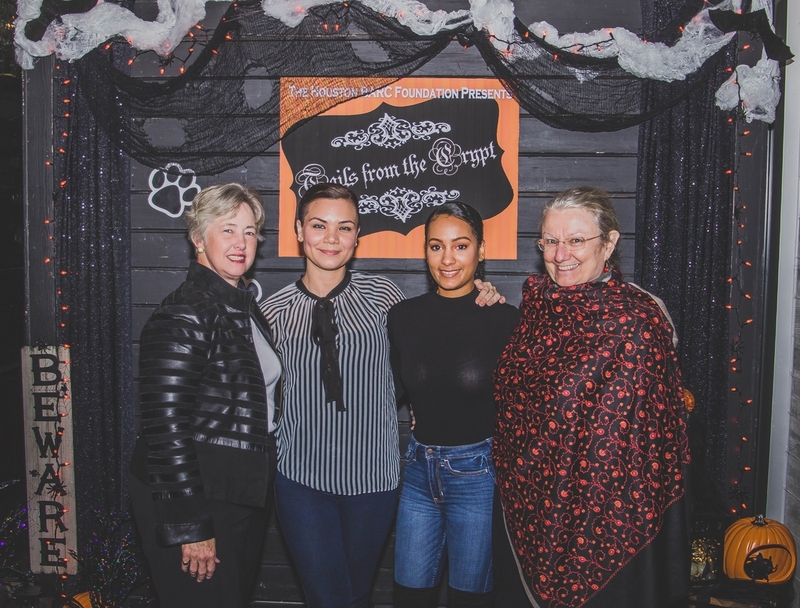 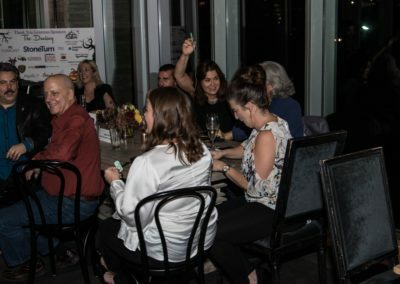 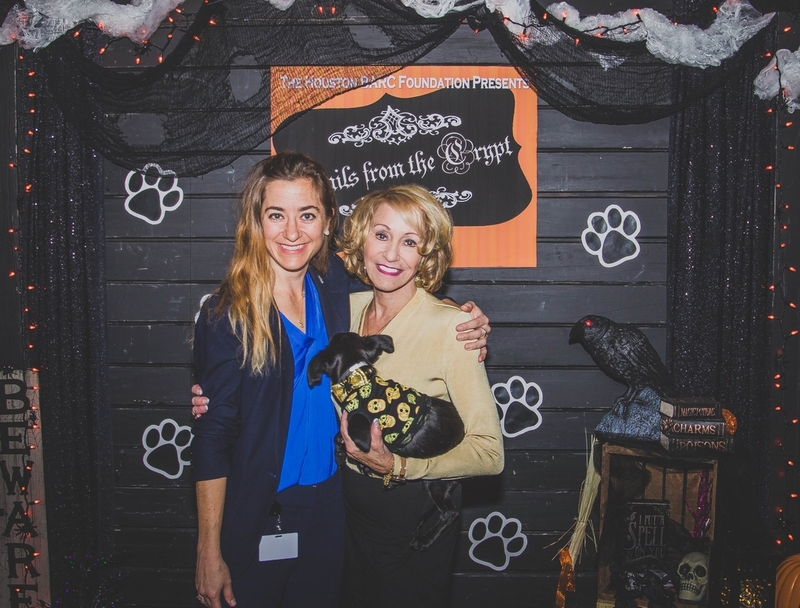 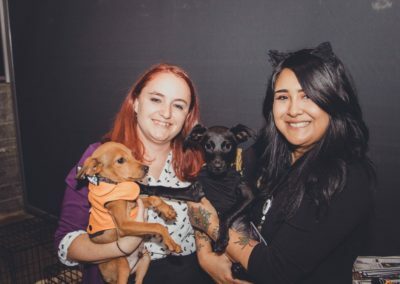 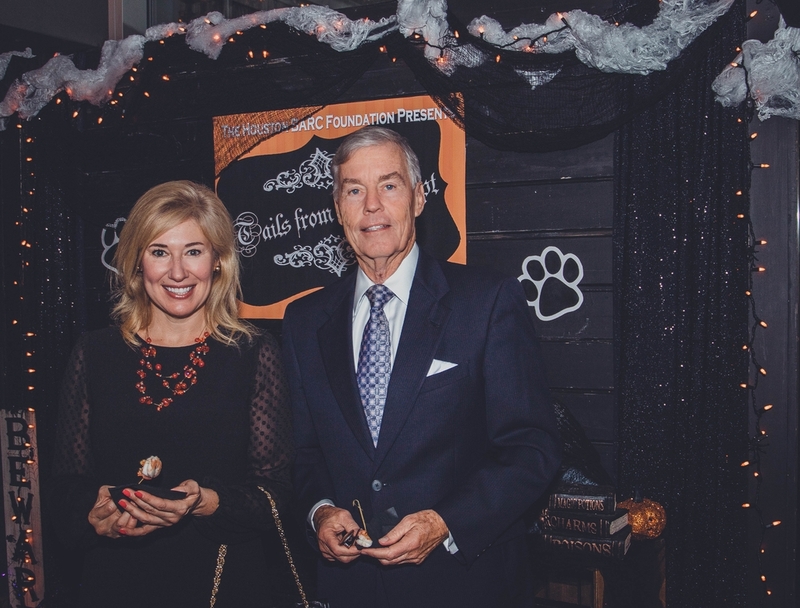 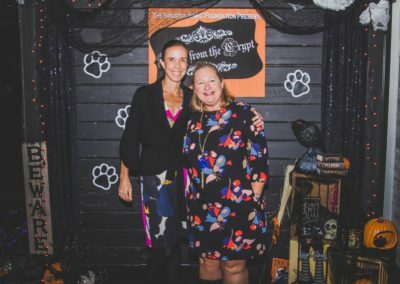 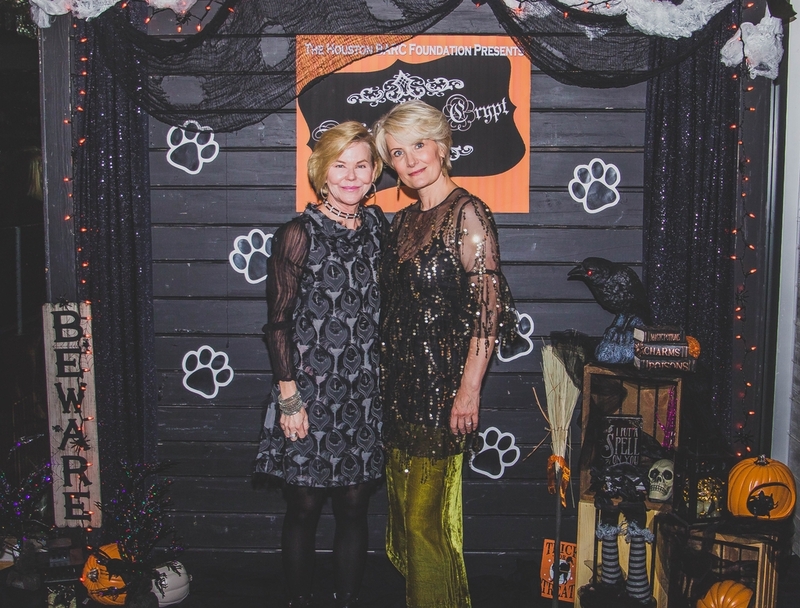 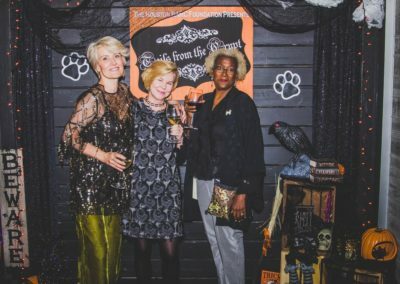 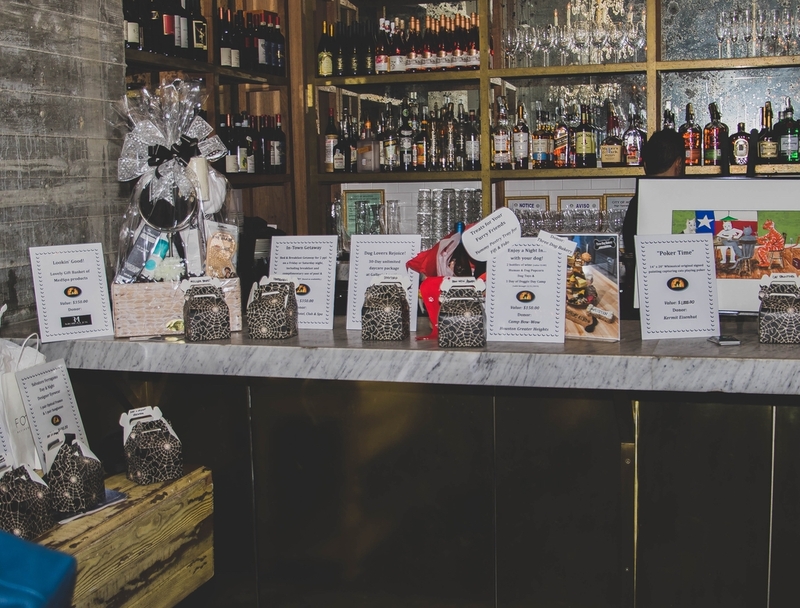 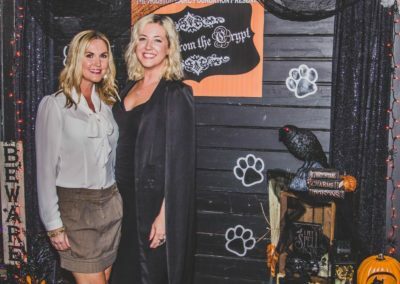 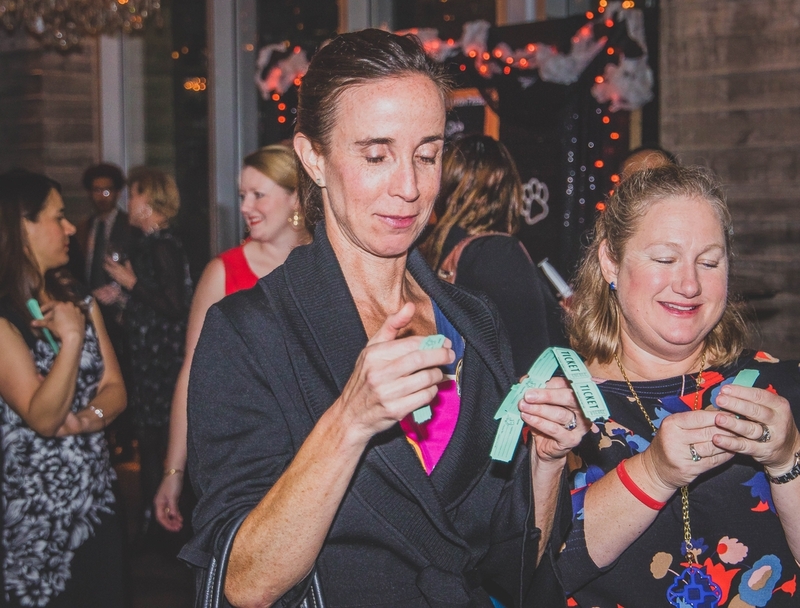 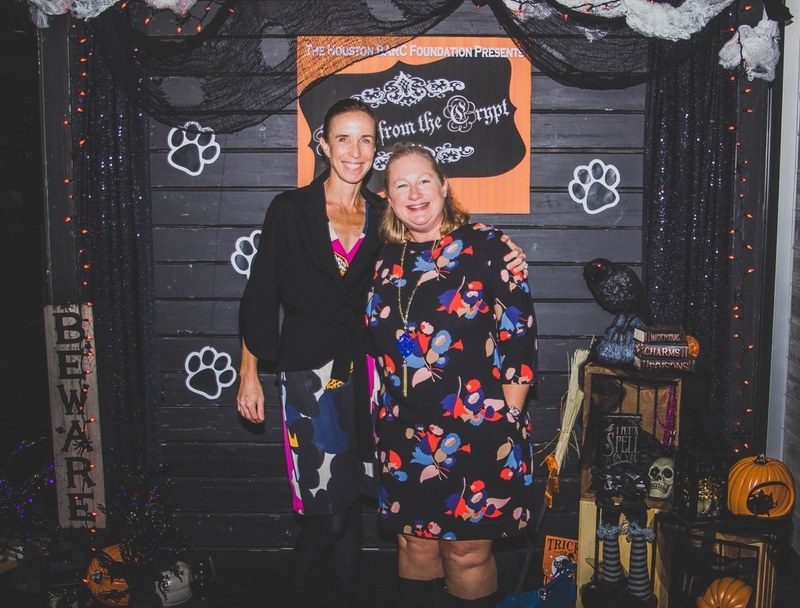 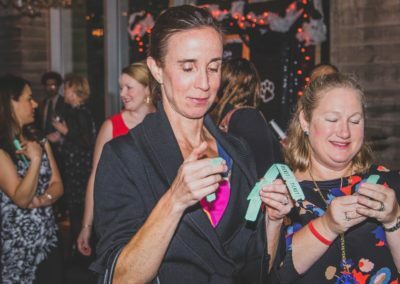 The rain couldn’t stop Houston’s business and government leaders, philanthropists, young professionals, and animal lovers, from getting in the festive spirit with Halloween-themed cocktails and bites provided by the Kitchen at The Dunlavy. 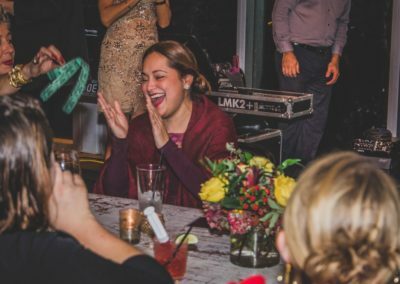 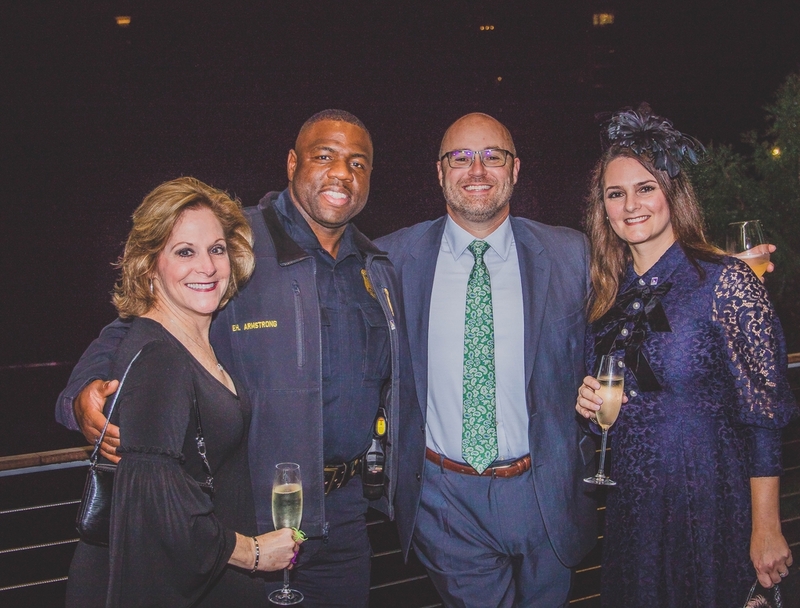 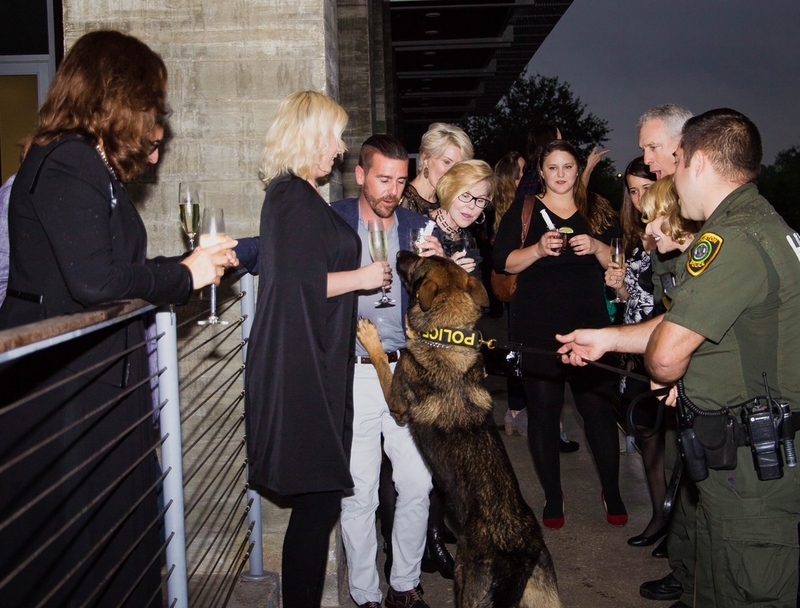 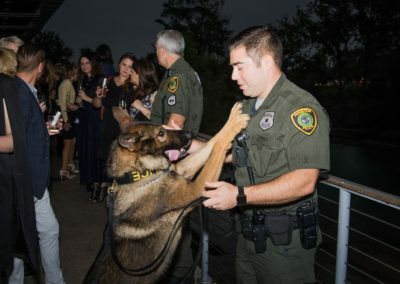 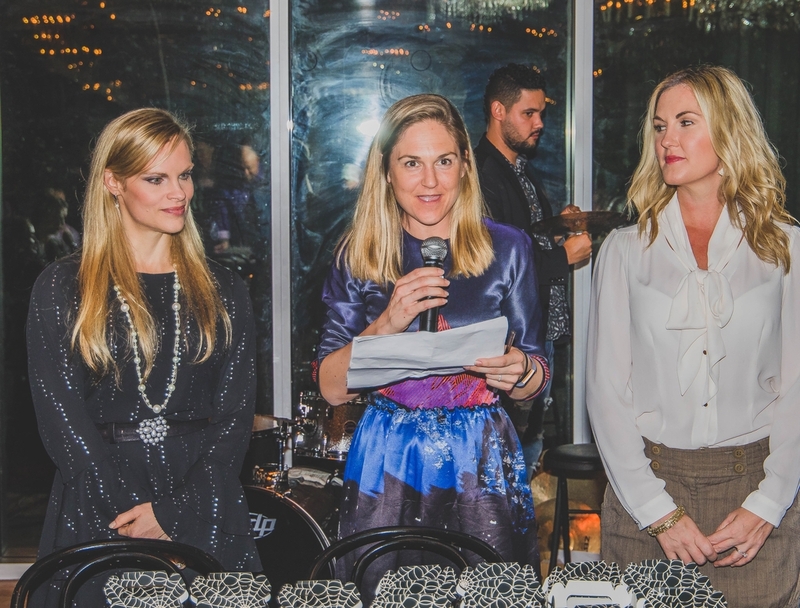 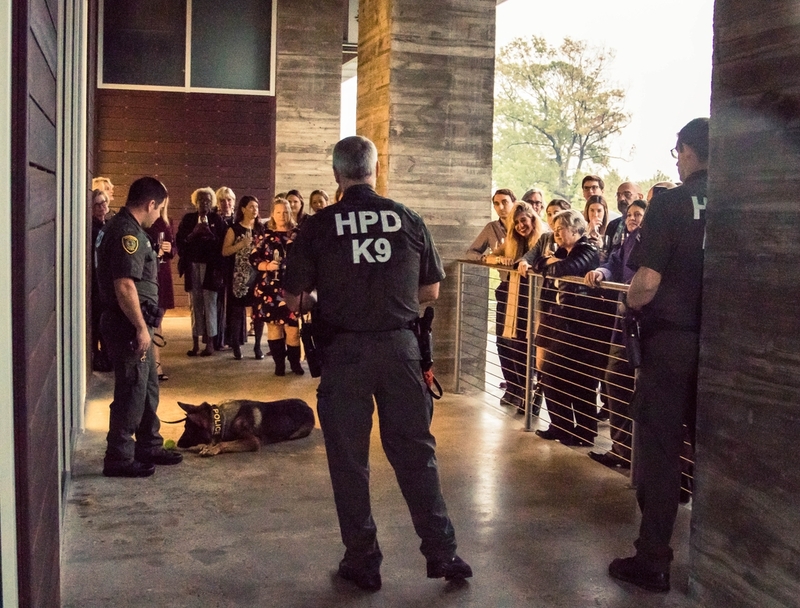 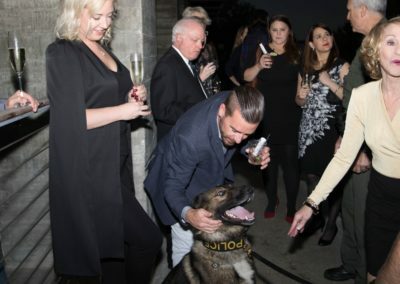 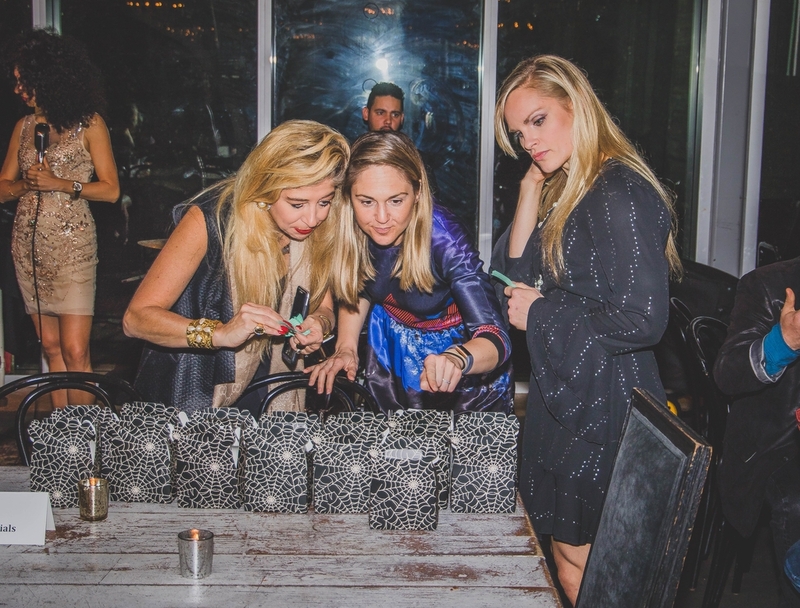 Partygoers were treated to a demonstration by the Houston Police K9 Unit, live jazz music, and a lavish raffle with items from Tenenbaum Jewelers, Louis Vuitton, the Houstonian, and the Houston Grand Opera, among others. 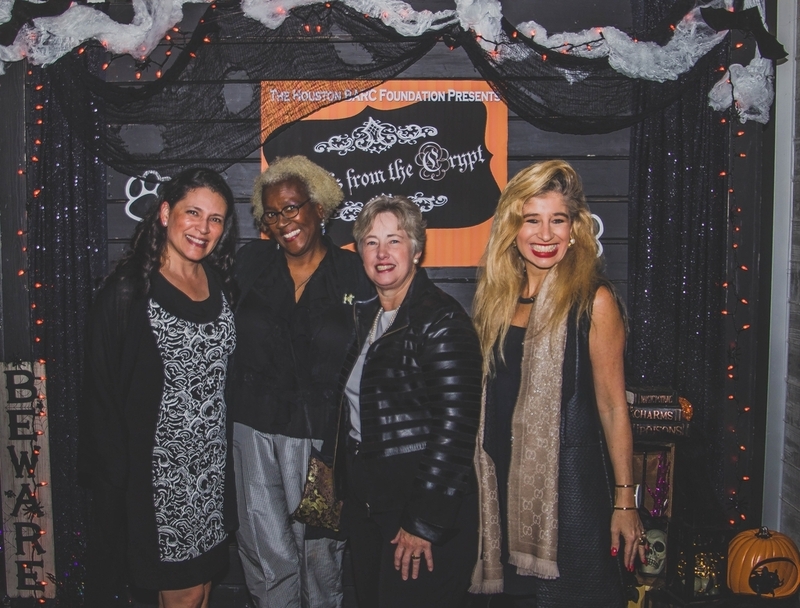 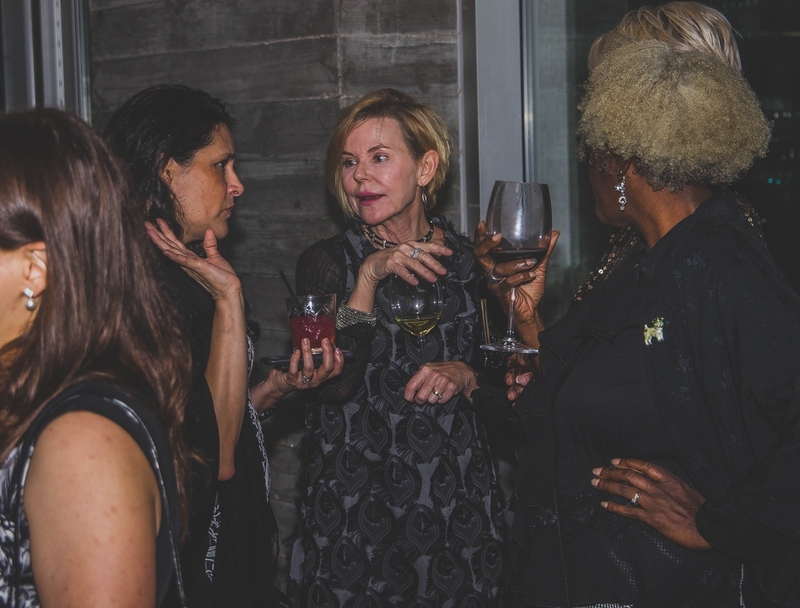 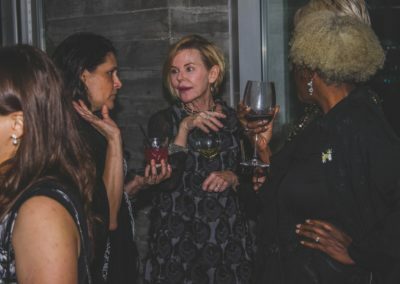 Well-heeled guests included Annise Parker, Ashley Turner, Elsie Eckert, Sofia Adrogué, Bimal Patel and City of Houston council members Jack Christie, Mike Knox, and Brenda Stardig. 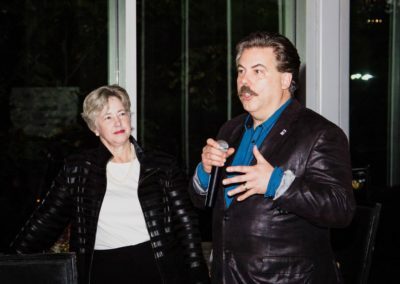 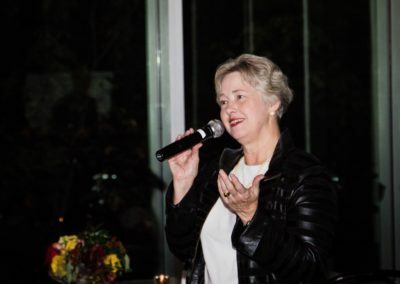 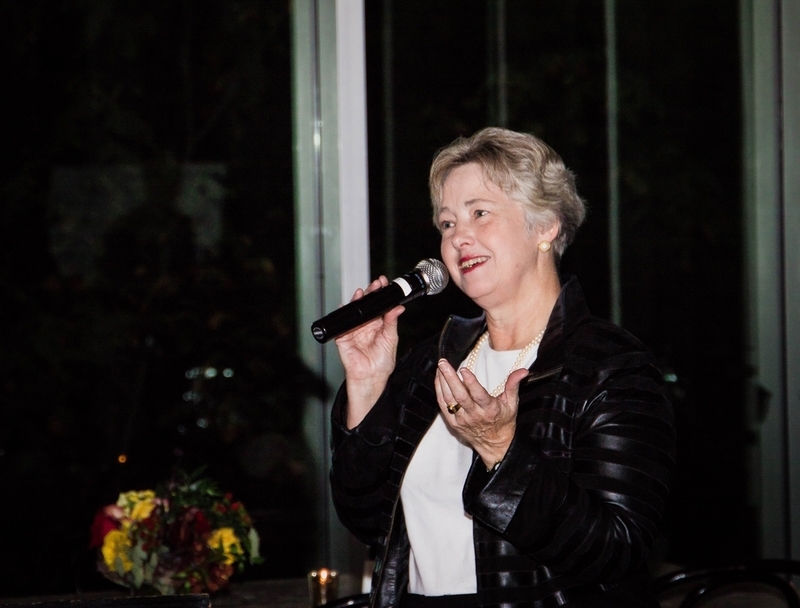 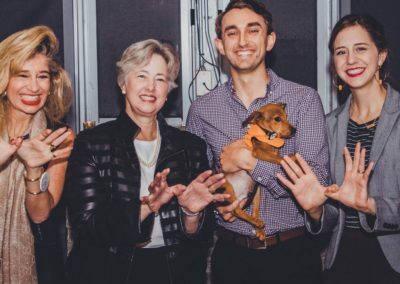 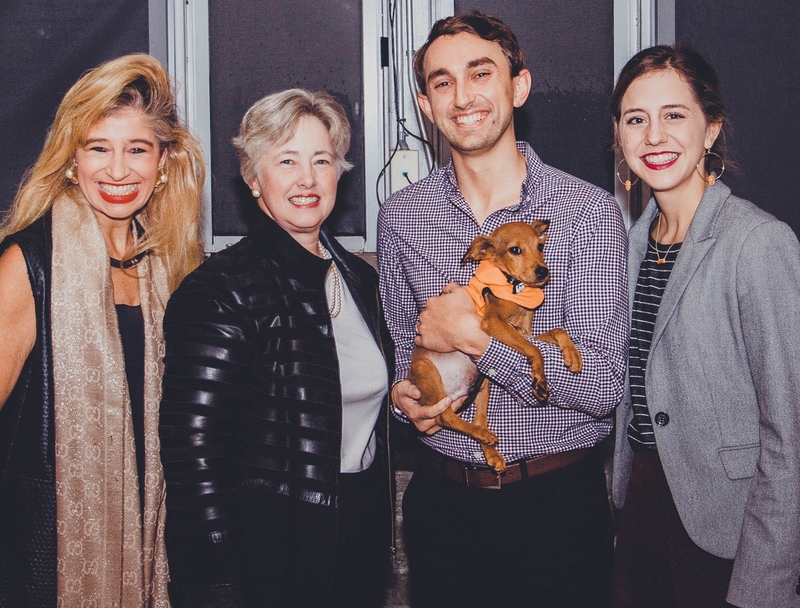 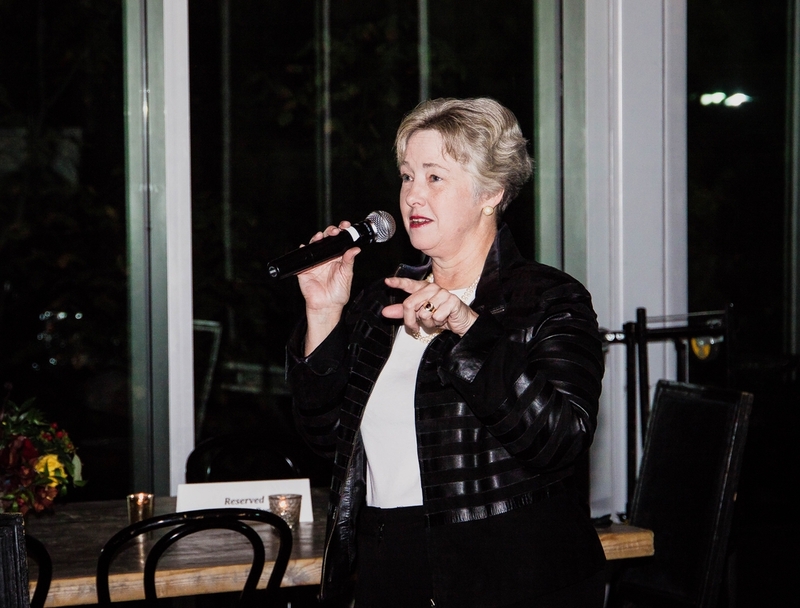 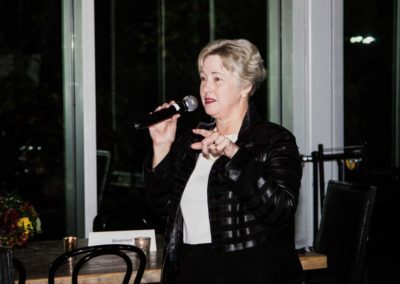 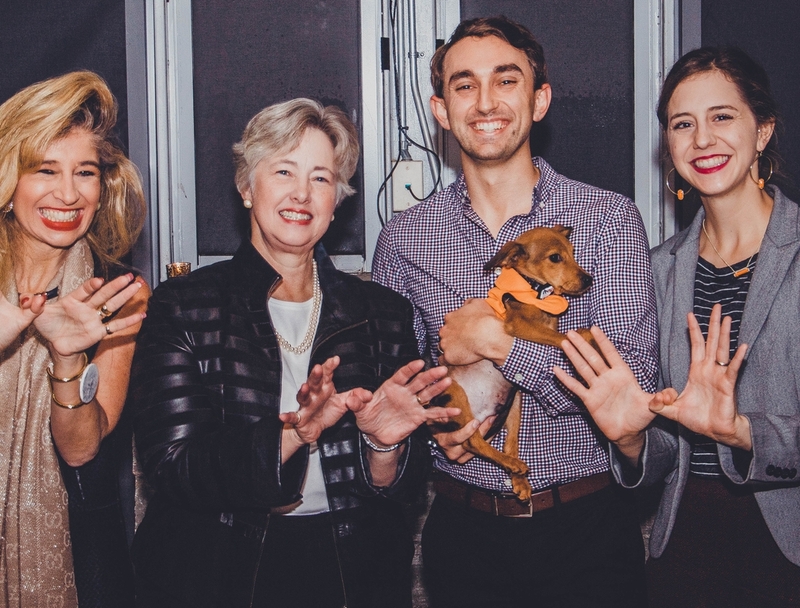 Former Mayor and committed Houston BARC Foundation Board Member, Annise Parker, served as Honorary Chair, and addressed the crowd along with Alan Ratliff, Houston BARC Foundation President, and the evening’s Co-Chairs, Corrie Morales, Katherine Thomasson and Katie Waddle. 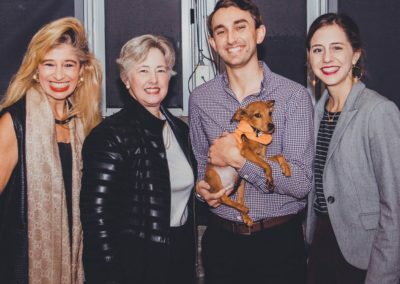 BARC is the only animal shelter in Houston required by law to accept every dog, cat, or other animal regardless of breed, temperament, health conditions, and circumstance. 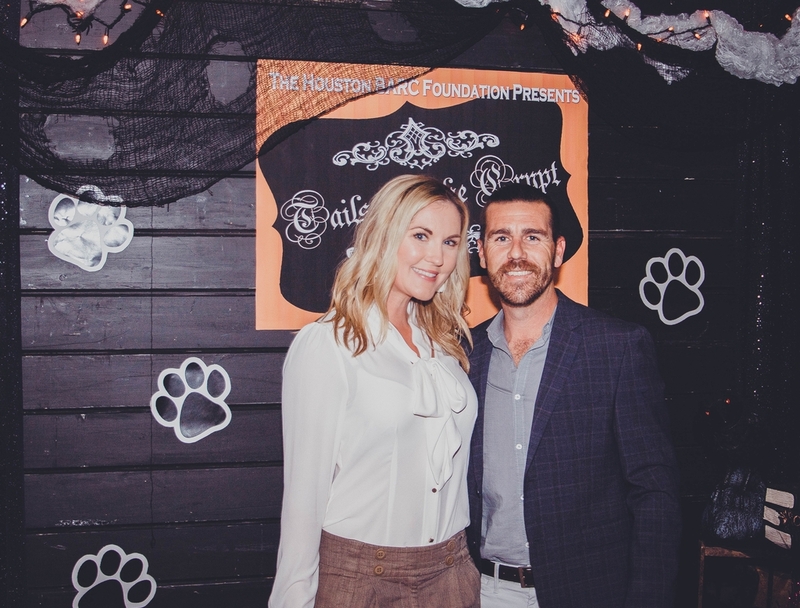 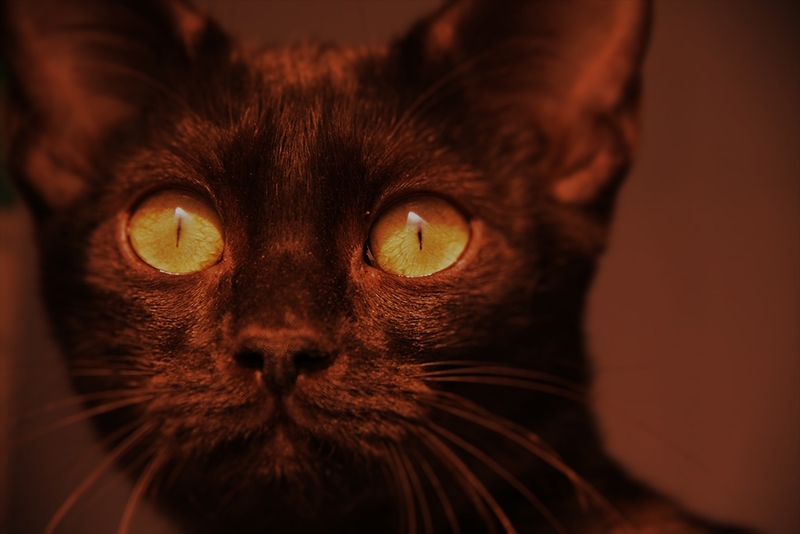 Created in 2010, the Houston BARC Foundation strives to improve the quality of life and survival rate of all homeless animals in Houston by raising money to support BARC’s programs. 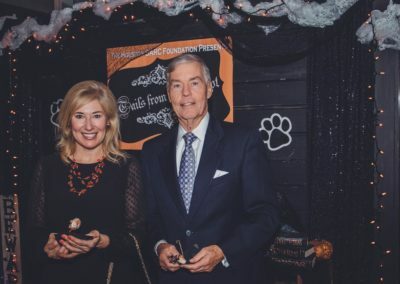 The funds raised from the event will help complete construction on BARC’s new adoption campus and will support BARC initiatives such as onsite and community adoptions, pet fostering, pet transfer and rescue as well as free and low-cost spay and neuter programs. 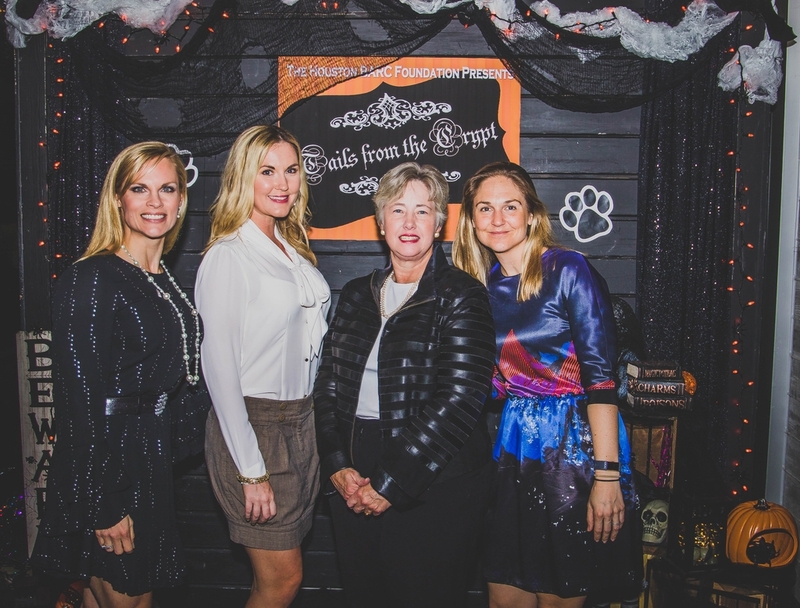 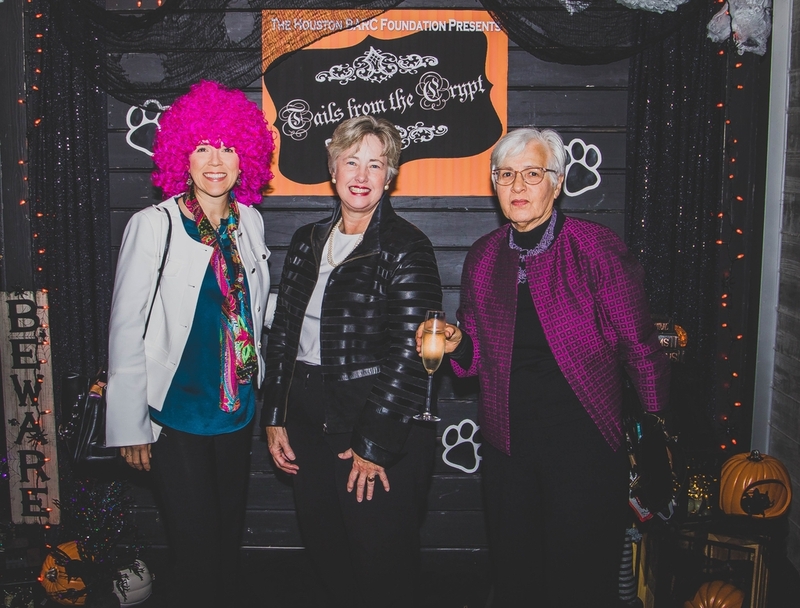 Houston BARC Foundation’s inaugural Tails from the Crypt Cocktail Party was organized by Co-Chairs Corrie Morales, Katherine Thomasson and Katie Waddle and Honorary Chair Mayor Annise Parker, with the support of members of the Houston BARC Foundation Board. 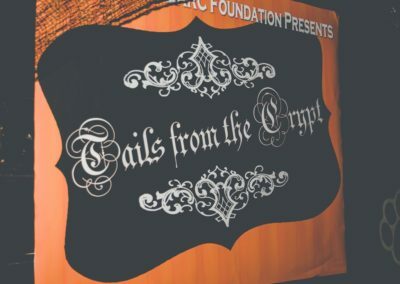 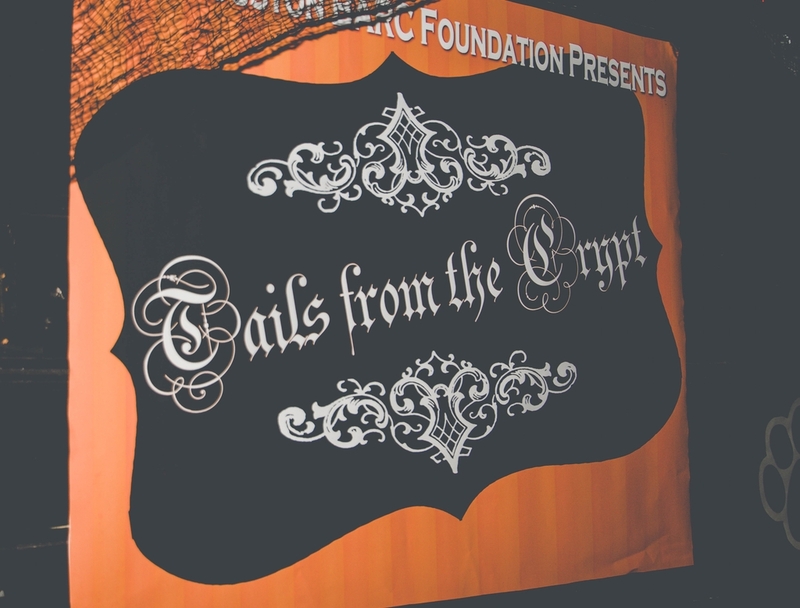 Tails from the Crypt would not have been possible without the significant in-kind donations from The Dunlavy and Clark Cooper Concepts; Tito’s Handmade Vodka; Besado Tequila; St Arnold Brewing Company; Angella V Photography; as well as support from the City of Houston Police Department K9 Unit, Raquel Cepeda Music and Exquisite Details. 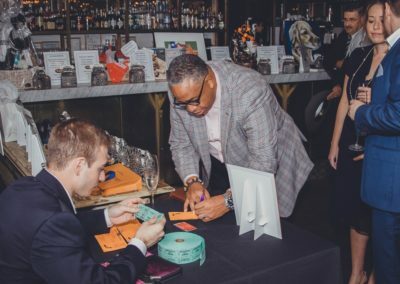 The lavish raffle was made possible through the generosity of Tenenbaum Jewelers; Louis Vuitton; Focus: Refined Eye Care; Saint Bernard Sports; Houston Ground Opera; The Houstonian; Four Seasons Hotel; Comcast; Dogtopia; Kermit Eisenhut; Loida Wexler; Dr Morales Plastic Surgery; Camp Bow Wow; Tito’s Handmade Vodka; Denimaxx; Barnaby’s Café and Three Dog Bakery. 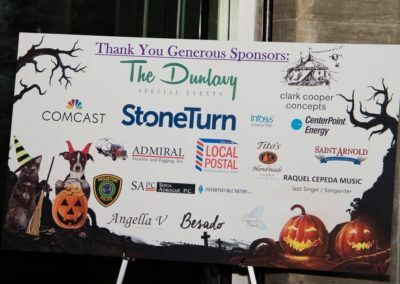 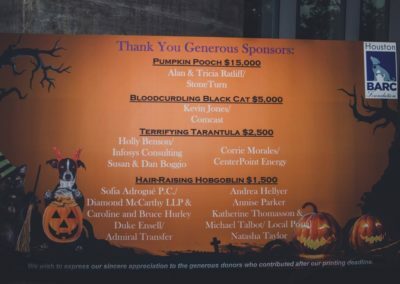 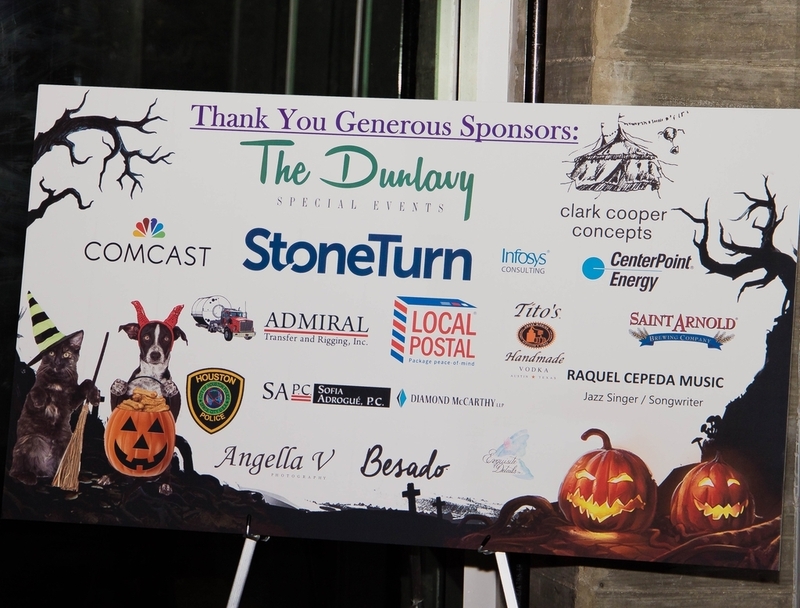 Significant sponsorship was provided by the following, among others: Pumpkin Pooch— Alan & Tricia Ratliff / StoneTurn; Bloodcurdling Black Cat— Kevin Jones / Comcast; Terrifying Tarantula— Holly Benson / Infosys Consulting; Susan & Dan Boggio; Corrie Morales / CenterPoint Energy; Hair-Raising Hobgoblin— Sofia Adrogué P.C. 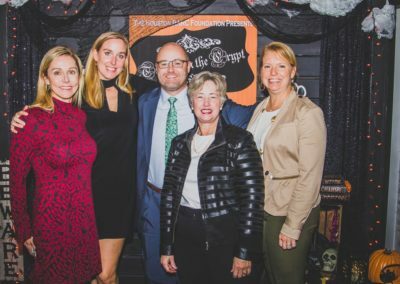 / Diamond McCarthy LLP & Caroline and Bruce Hurley; Duke Ensell / Admiral Transfer; Melanie Gray; Andrea Hellyer; Annise Parker; Katherine Thomasson & Michael Talbot / Local Postal; Natasha Taylor; Josephine Vashi. 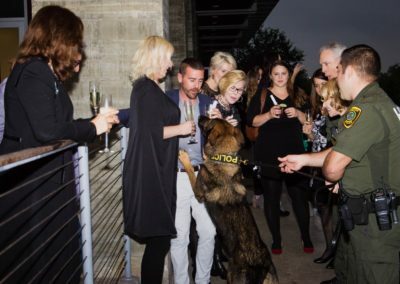 Houston BARC Foundation is a 501(c)(3) organization.